Filmed with my Panasonic GH5 in Nauticam Housings, 501 monitor and WWL-1 Nauticam wet Wide Lens, manual focus, awesome! 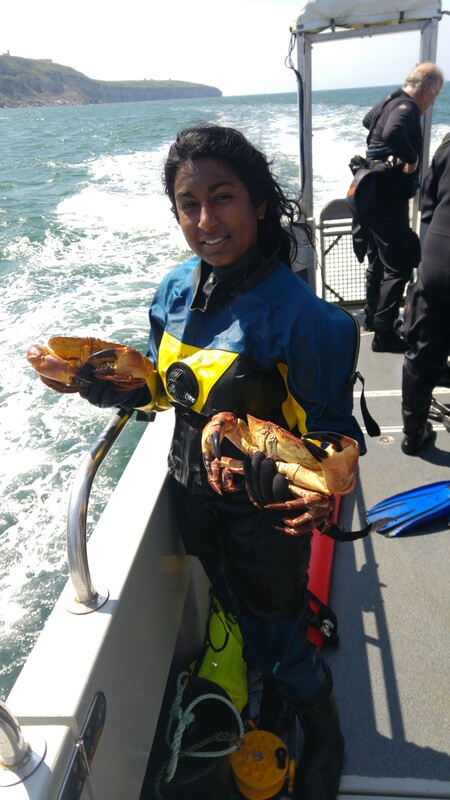 My first sea dive after becoming an ocean diver! 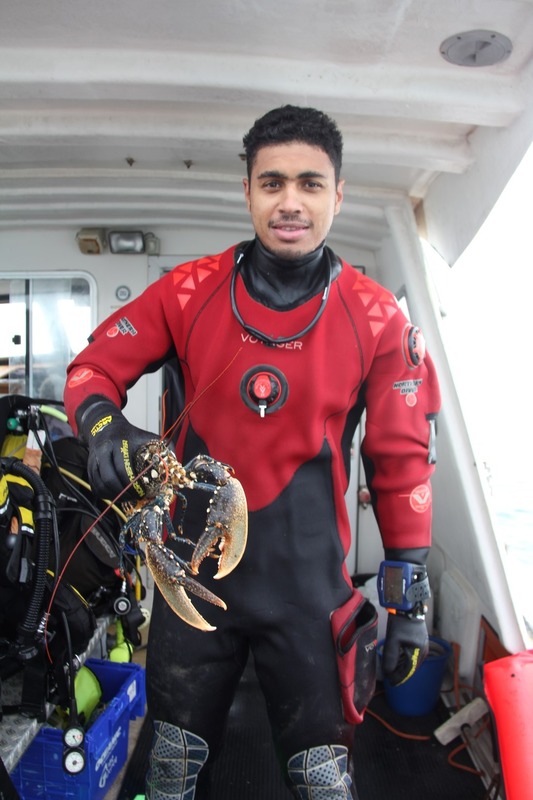 My goal from the start was to remain focused and put all the skills that I learnt in the pool to good use in the sea! I held on to the shot line and eased my way down, keeping my buddy insight at all times, until we met the sunken wreck! Finally, it was now time to let go of the shot line and begin an experience of a lifetime ! By this time, I had forgotten how cold the water was……………. 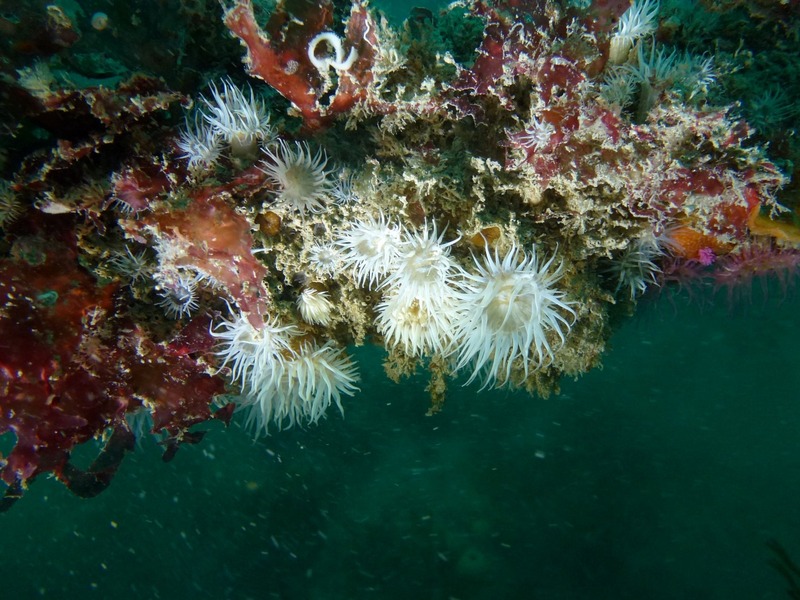 It was nice to swim about and gaze at the star fish, the crabs and little fishes that all seemed to be asleep in the home they made from the wreck. 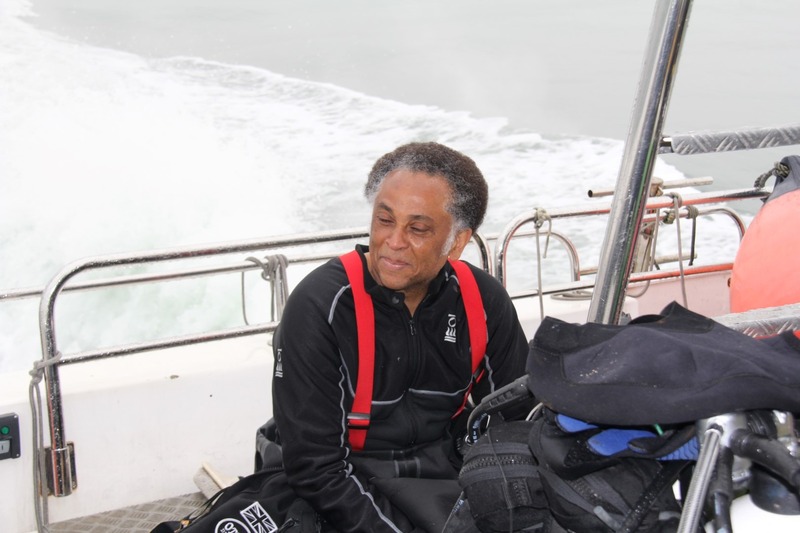 It was also good to implement the skills that I learnt to meet the challenges that came on the dive. For instance, like having to purging my regulator as water enter my mouth triggering a panic but remembering to try to keep calm! Also, maintaining focus at different depths to keep my buoyancy and monitoring my air supply, as the dive progressed. When we surfaced, we were all cold but no one was detered by this as we sat eating sandwiches with a hot drink and looking forward to the new top dive! “sorry for the long narrative but I could not restrain myself in the confines of just one paragraph with an enormous experience like that! Thanks again for being there for me and helping me to take that first step or leap forward in my quest to be a better and safer scuba diver. My journey has just begun but I can see why we maintain regular practices and how we can never stop learning as we known what challenges lay ahead of us!!!! 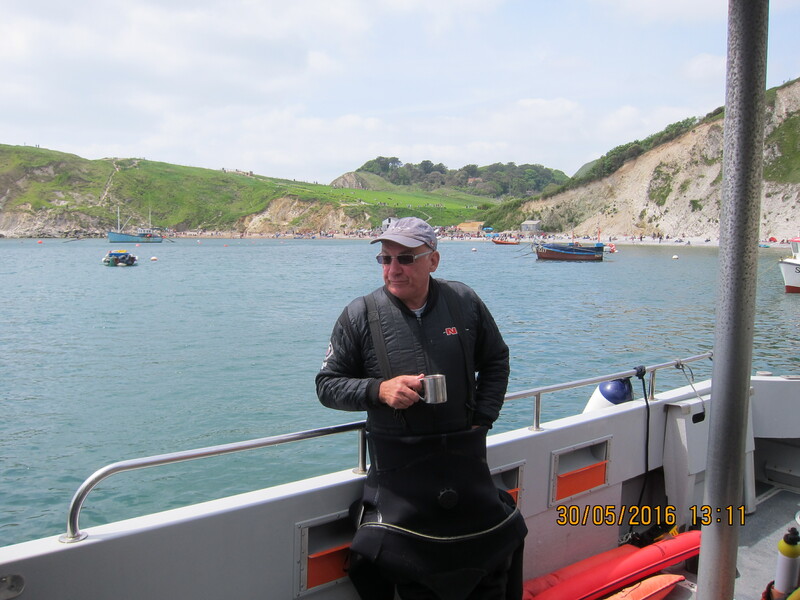 This was the second year Mike had arranged a dive trip starting from Eastbourne and spending 2 days diving off the Isle of Wight before returning to Eastbourne. 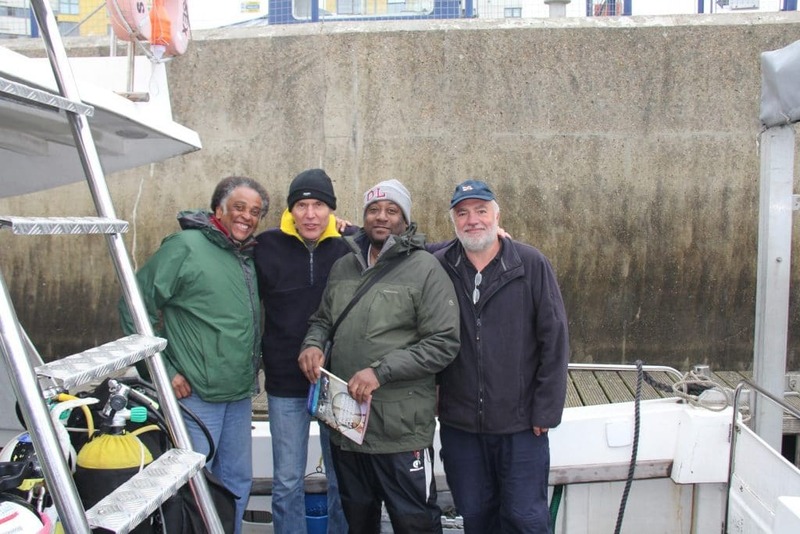 Guy, Ron, Jeremy and John from Eltham joined our skipper Mike at Eastbourne Marina at 5am on the Saturday.We were joined by Phil and Karen, a couple of very experienced and serious divers, they blended their own Nitrox during the trip. 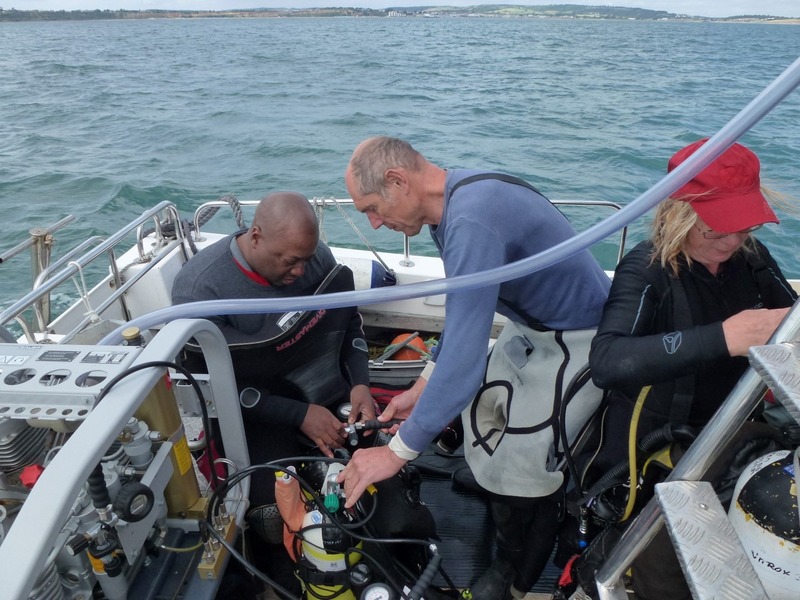 First day we dived 2 wrecks on route to Gosport. The first wreck was the T. R. Thompson a freighter carrying iron ore and a victim of Oberleutnant Lohs in UB-57. She was torpedoed on March the 29th in 1918 and now lies in 30m of water. 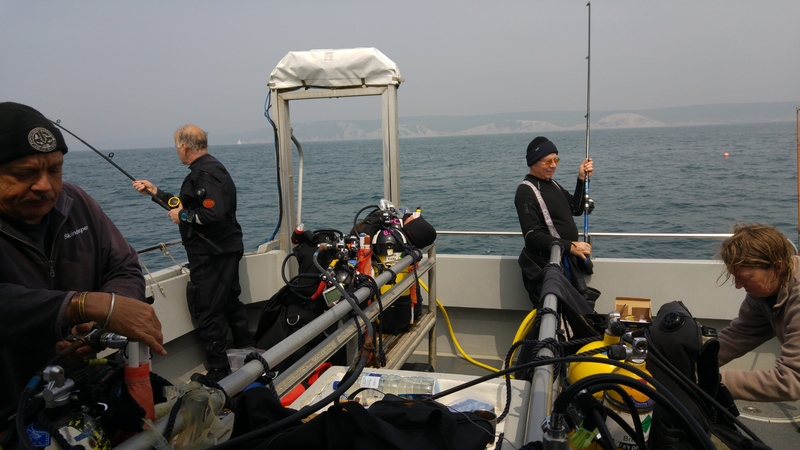 Our second dive was on the Basil, a favourite wreck with the club and famously not dived during our Gosport trip last year. The Basil sank after a collision on the night of the 11th November in 1917; she lies in 40m and is still stuffed with shells. 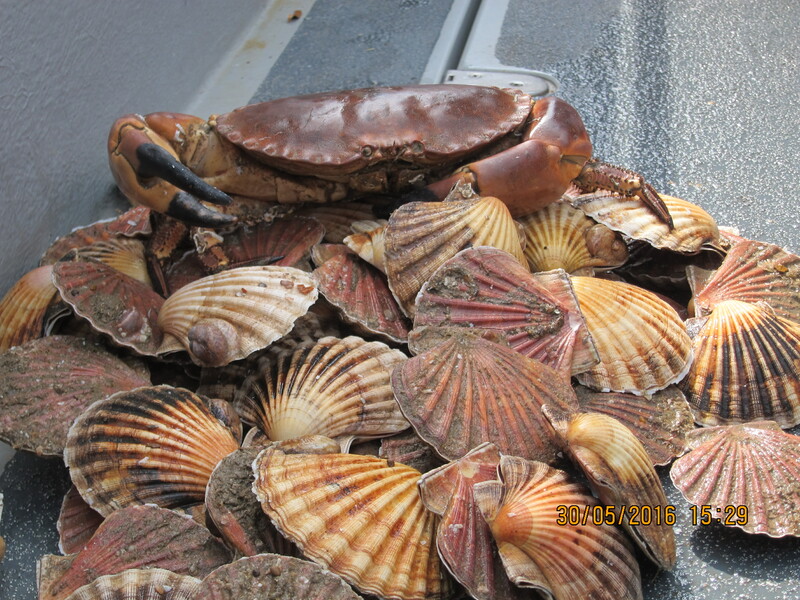 The viz wasn’t good but from the piles of shells we knew we had the correct co-ordinates this year. 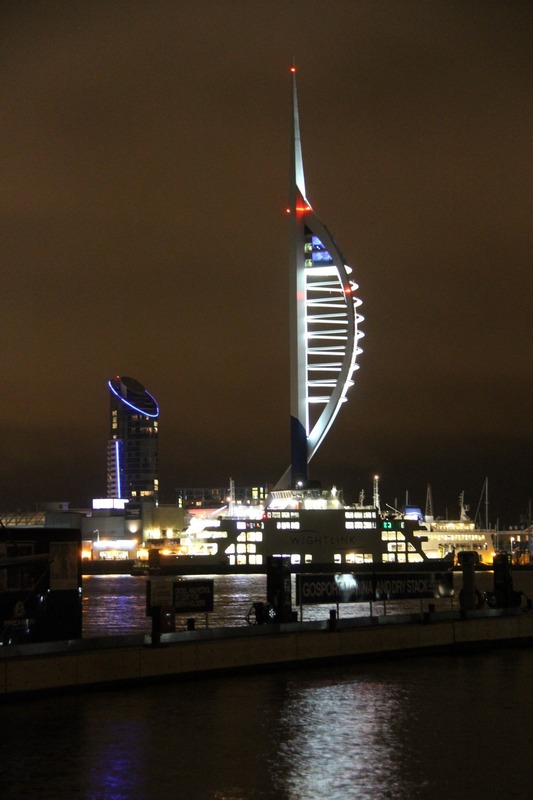 During our stay in Gosport we spent the evenings in town before retiring to the Premier Inn for the night. The Castle Tavern with its nice beers, very nice pub grub and all of a minute from the marina was our usual destination. Gi joined us at the Tavern having driven down from London. 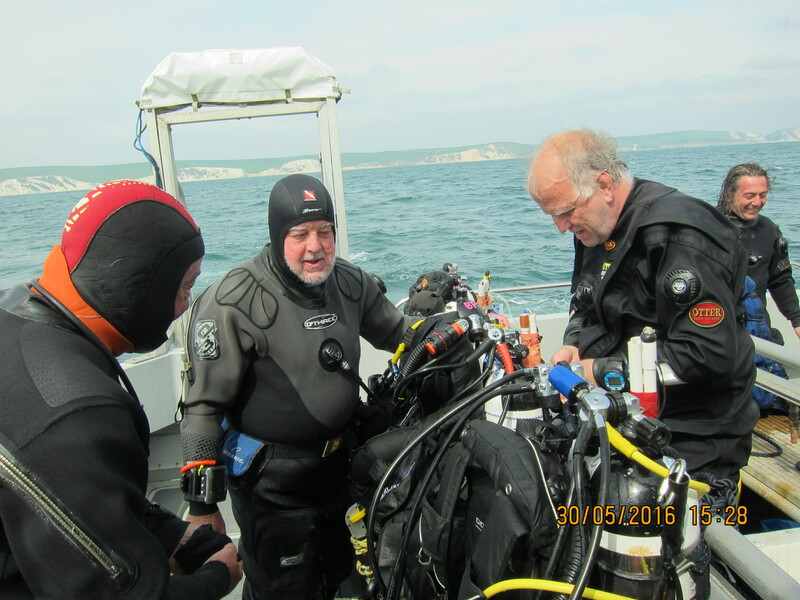 Sunday the wind blew up and we were forced to dive the Luis which is tucked into the lee of the Isle of Wight. 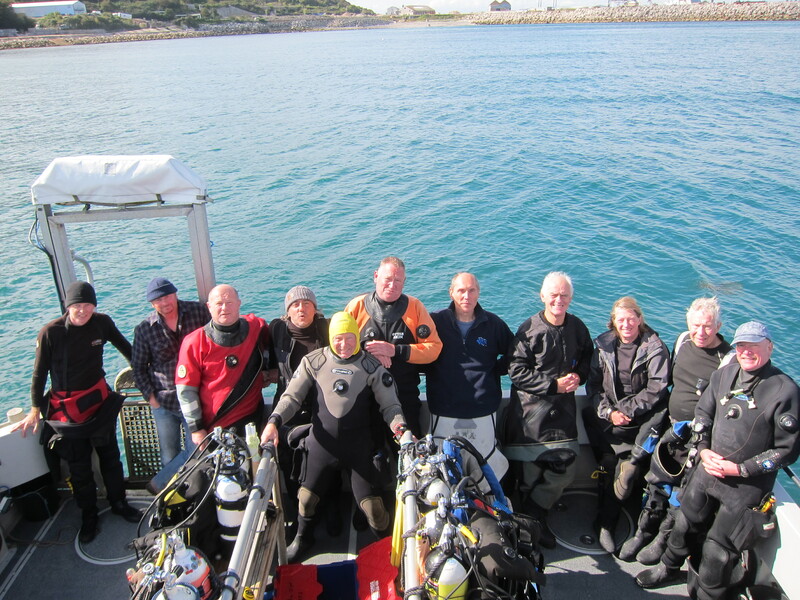 We were also joined for the day by 2 trainee divers Dan and Christina from Phil’s club. The Luis was a 4,284 ton freighter built in 1916; she left Halifax with a cargo including shells and was torpedoed by Oberleutnant Marzecha on the evening of the 12th of April 1918. There are still shells in the wreck and masses of lead shot from the shrapnel shells. 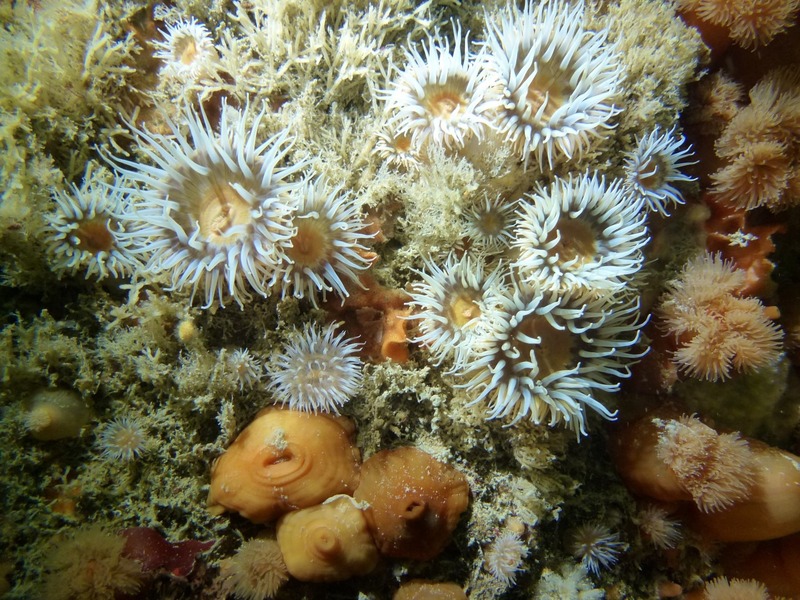 The weather was so bad the only other dive we could manage was a shallow drift close to the island. Most of us sat it out. Monday the storm still hadn’t blown itself out and our first wreck, the Camberwell, we tried to dive in the large swell. Our bottom time was a full minute, there was little point continuing the dive; viz what viz? Our second dive was our old faithful bad weather dive the Luis. With the sea settling our third dive was on the Camswain a 3,426 ton steamship that sank on its maiden voyage after a collision. She lies in about 20m and is a good rummage dive. 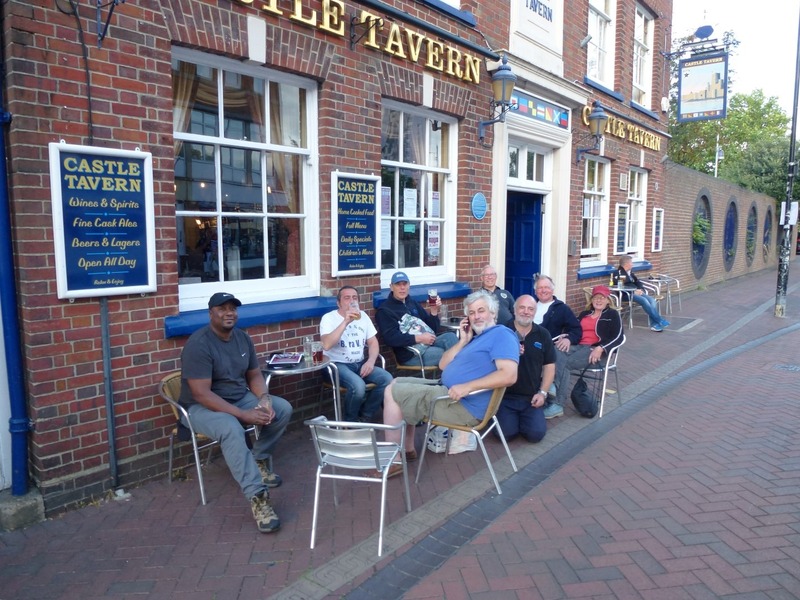 Tuesday we returned to Eastbourne minus Gi and Ron, something to do with commitments and work. Our first wreck was the Gascony which sank on the 6th of January 1918, another victim of Oberleutnant Lohs. 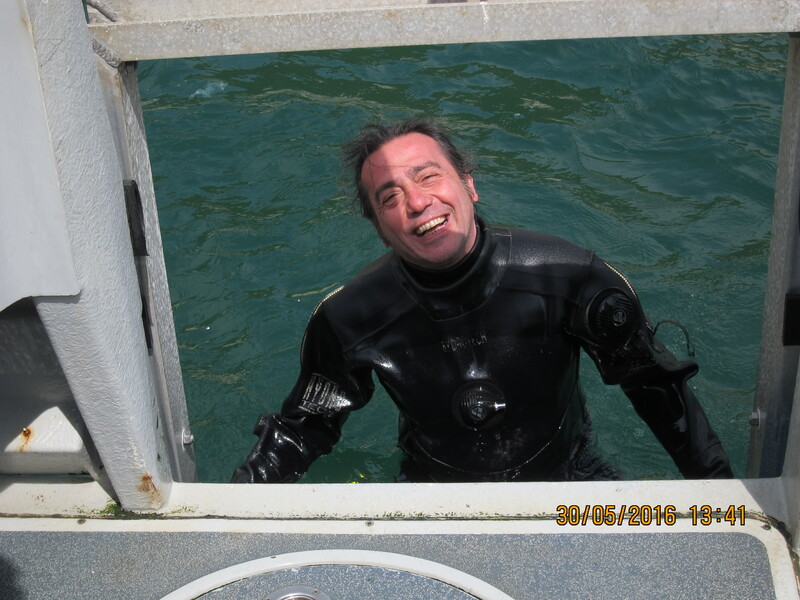 The Gascony was a 3,133 ton freighter and lies in 26m, we had a good dive and the wreck was full of lobsters and crabs. 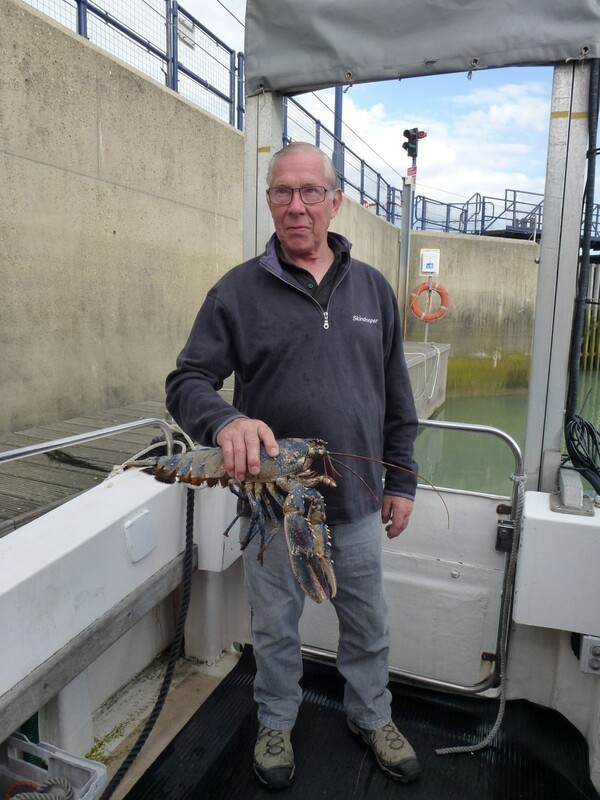 John, as ever, managed to come up with the largest lobster. Our second dive was the Blanefield a 4,575 ton merchantman , first identified by our skipper Mike over 20 years ago when he retrieved her bell. The Blanefield was built in 1898 and was 3,411 tons. She sank after a collision on the 1st May 1906 and now lies in 30m of water. 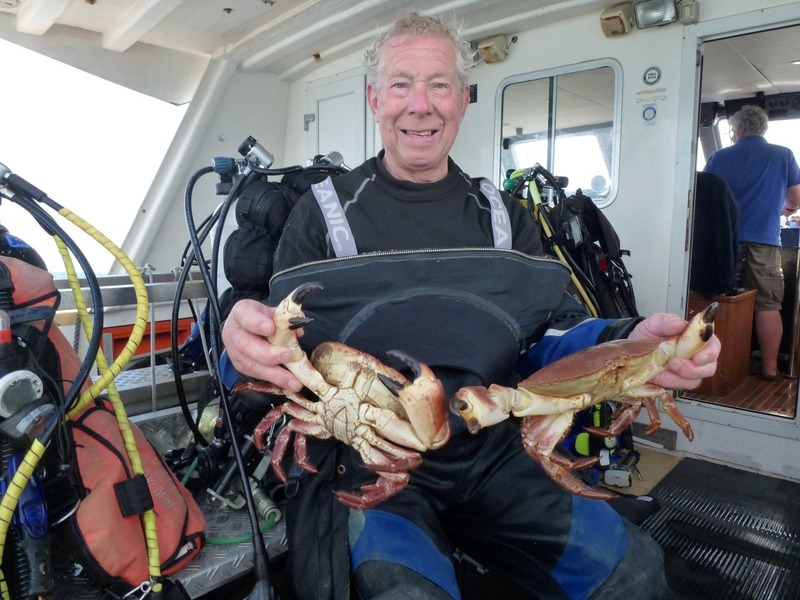 The Blanefield is another interesting wreck to dive and again full of lobsters. This was our last wreck and we returned to Eastbourne. 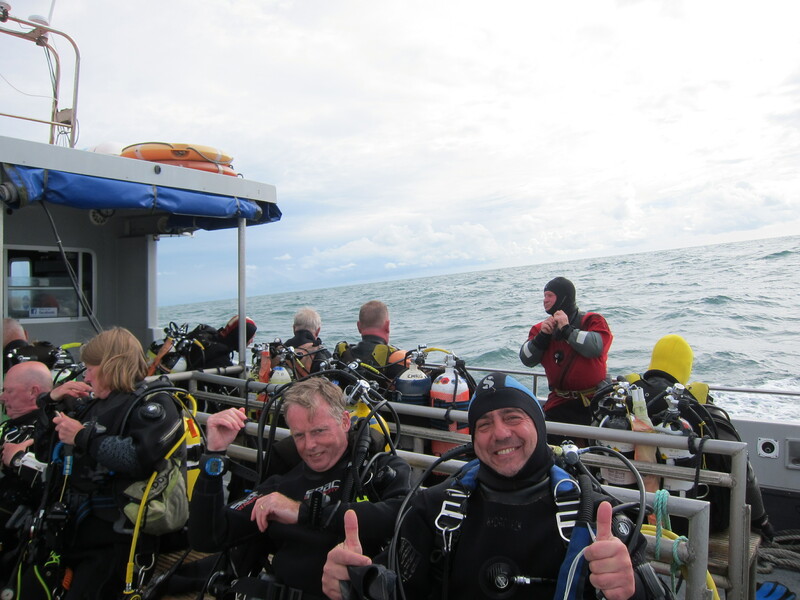 As with last year’s Gosport trip, very enjoyable and some excellent wreck diving. Next year’s dates are Saturday August the 12th to 14th . 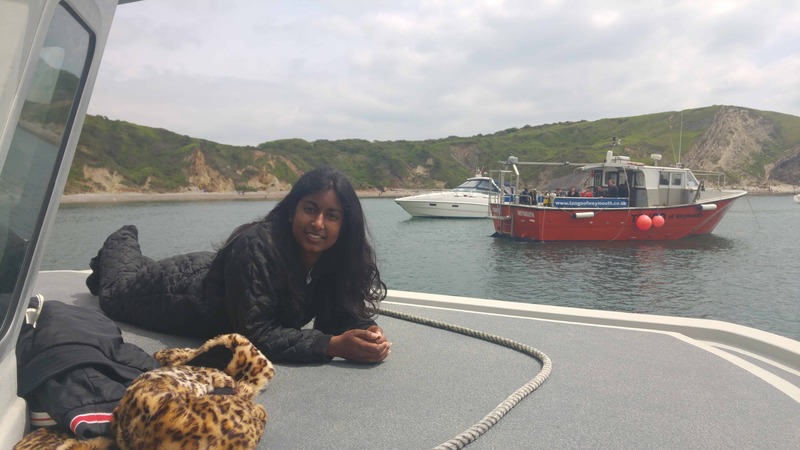 As usual, this year’s annual trip to Weymouth started on Saturday 28th May as we all assembled in “The Bunker” situated at the causeway that connects the mainland to Portland overlooking Chesil Beach. 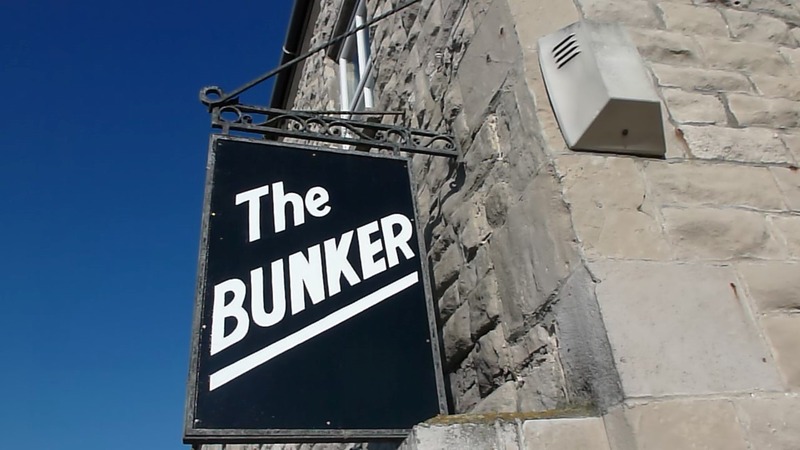 The “Bunker” is all part of the Skin Deep diving experience and is an old Masonic lodge that has been converted into accommodation for divers. Each bedroom is equipped with a shower and bunk beds. The dining room has memorabilia of many of the wrecks we dive and a bay window that overlooks Chesil Beach. Our hostesses are Margaret Smith and her daughter Cathy who provide us with a hearty breakfast, a packed lunch and a sumptuous evening meal. 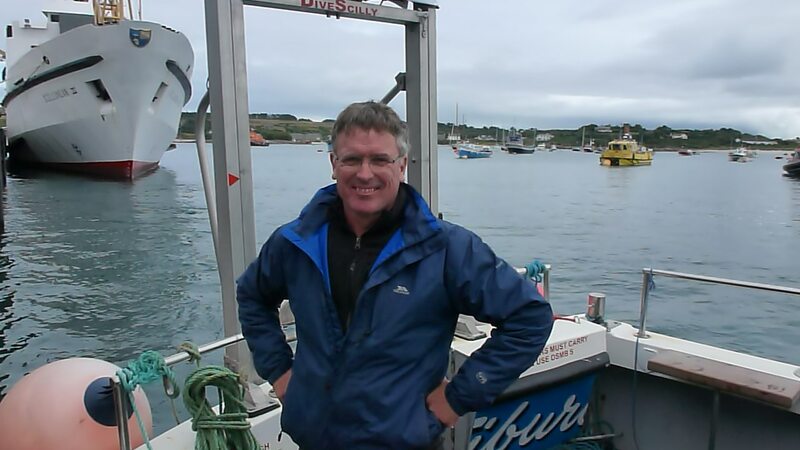 I have done Weymouth Week for many years and the main change is that our dive boat, Skin Deeper, has moved to Portland Marina where the National Sailing Academy, Coast Guard and O Three (specialist dive suits) are all based. 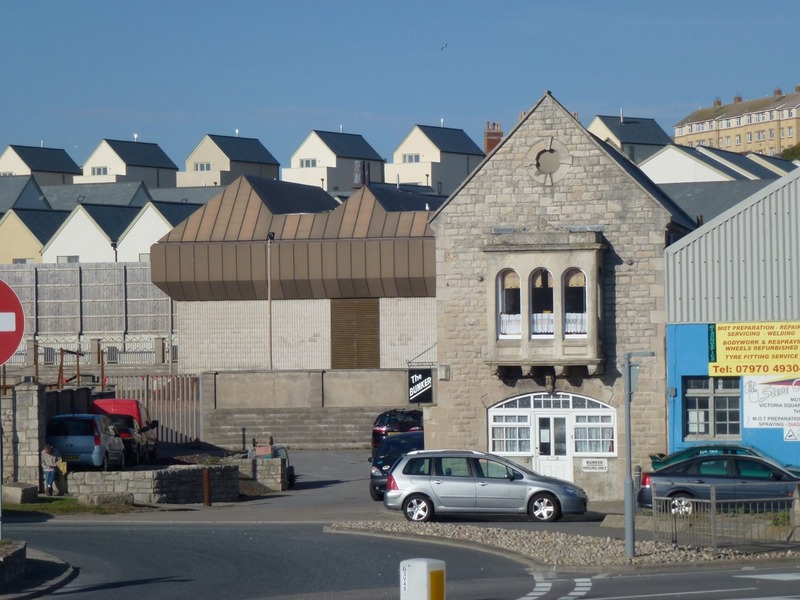 The Marina is a short walk from the Bunker and has all the facilities required….a free car park, showers, a cafe (run by Cathy) and, most important, a pub serving excellent food. 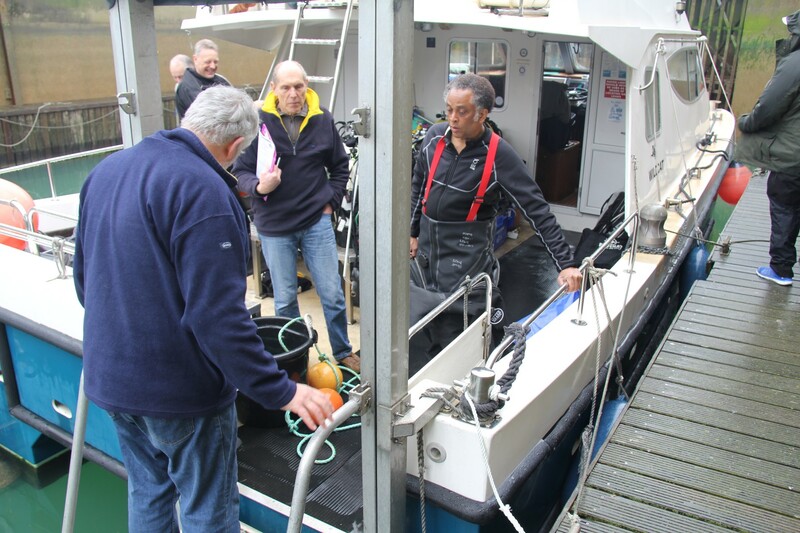 We transfer all our kit to the boat and us veterans are there to assist, advise and welcome all aboard. 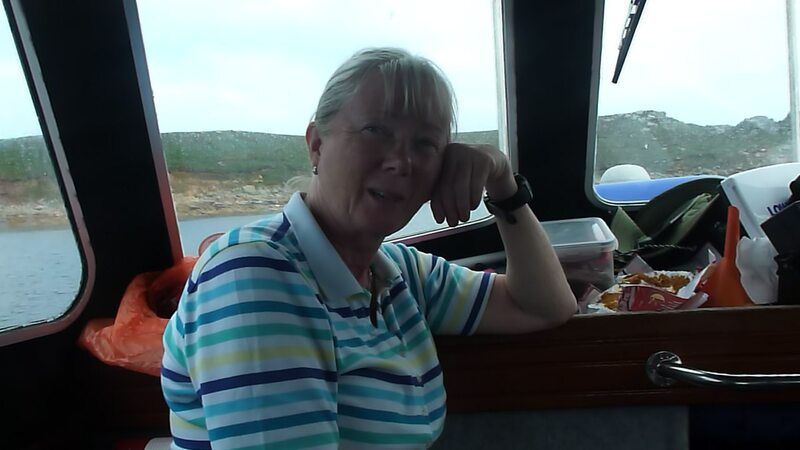 We are soon joined by old friends Chris and Jim from St Albans and our skipper for the week, the fantastic Lennie and his crew, Maggie. Skin Deeper has its own compressor to pump our bottles and everything runs like a well oiled machine. If you need nitrox then this is provided by the local dive shop situated nearby in the marina complex and is owned and run by Cathy’s husband Ian who just also happens to own and skipper Skin Deeper, plus runs a commercial dive business and when called upon is cox of the Weymouth Lifeboat. 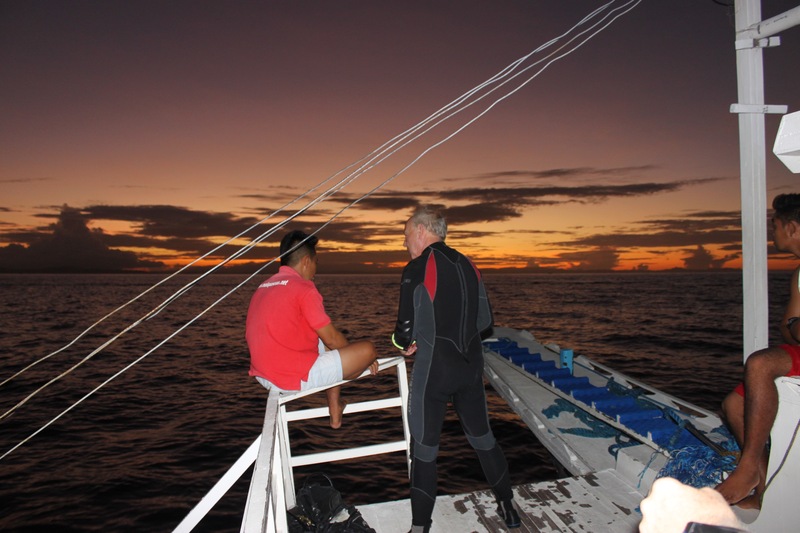 Each day our Expedition Officer consults with Lennie and decides on the dives for the day. Although we have dived most of the wrecks many times before they are always different with something for everyone. The usual favourites are The Salsette, M2 (my favourite), Ethel, Elelanor R and St Dunstan but the wind and tide dictates our choice. 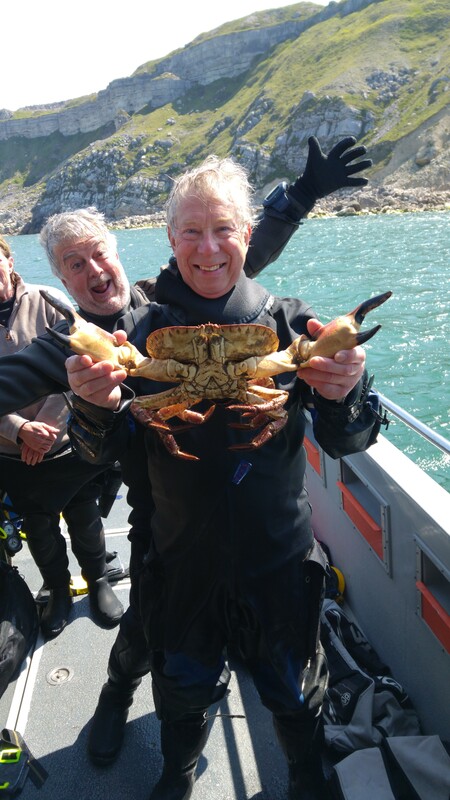 Years ago, our dive would consist of searching for brass but this is now not acceptable (very little left) and now the search is for wildlife both on and off the wrecks. 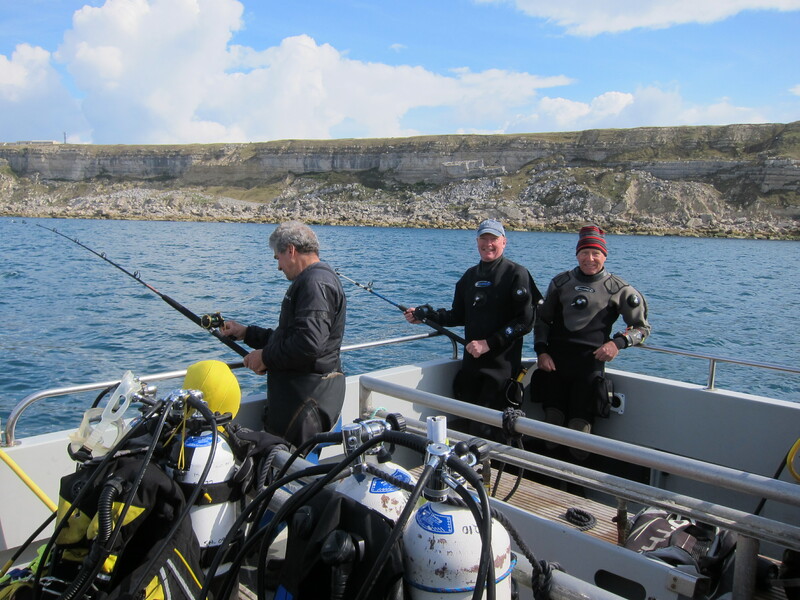 Our second dive is often just off Portland Bill diving under the cliffs or the ledges off Chesil Beach. 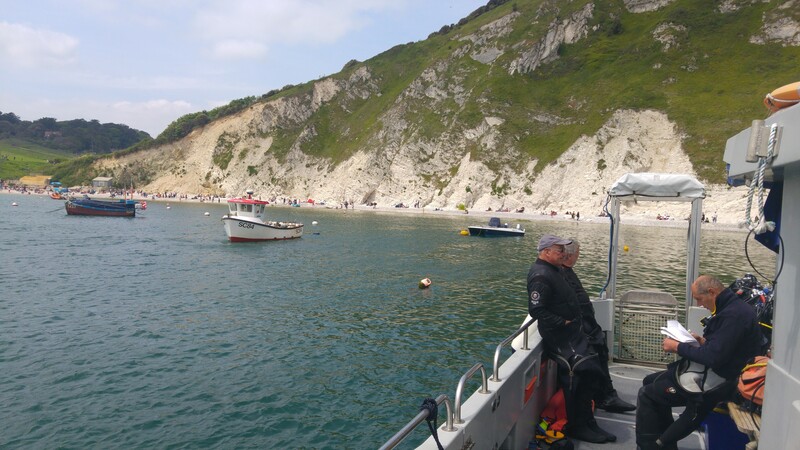 However, the highlight is always “scalloping” on the Lulworth Banks just outside Lulworth Cove. For me, the trip is all about meeting old friends, the camaraderie and “banter”, the spectacular scenery and the history and geology of the area. 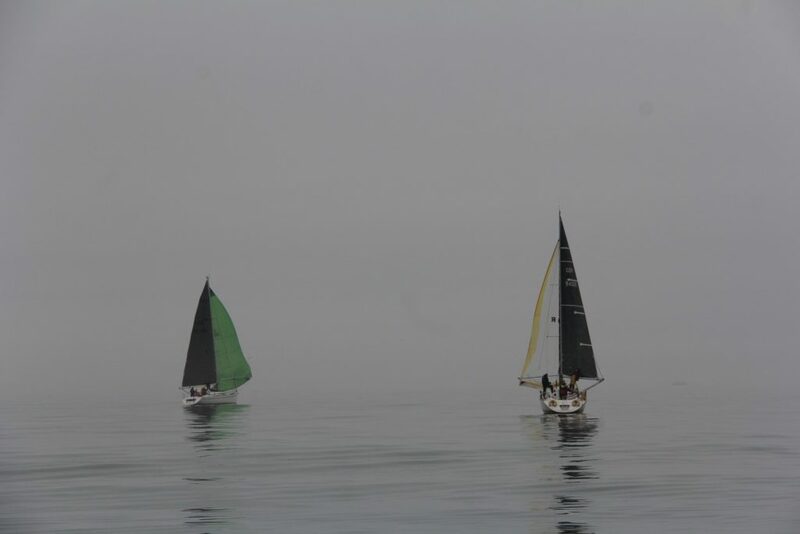 Rounding Portland Bill and powering through the “race” is always memorable. Returning to the marina there is time to reminisce over a pint before returning to the Bunker for one of Margaret’s fabulous evening meals. A walk up onto Chesil Heights and around the derelict gun batteries, quarries and The Verne, with views over Portland Harbour is a must. 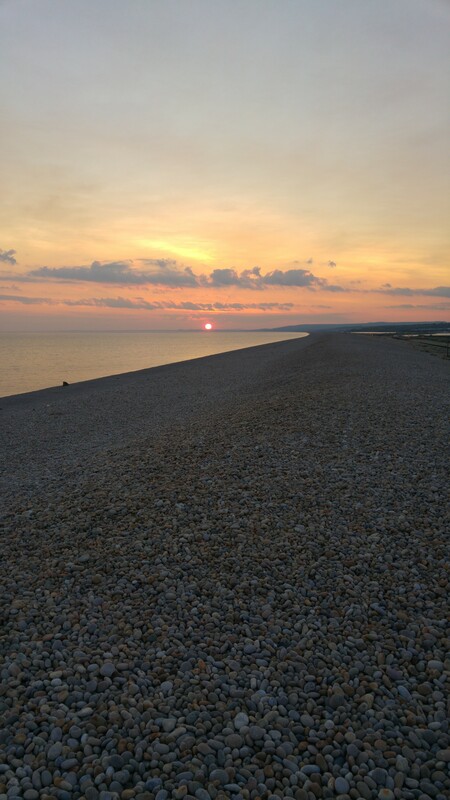 To witness the setting sun over Chesil Beach is a moving and memorable experience. You will gather I am passionate about this annual trip. Recently, the only downside has been the weather and the visibility. Both of which we have no control over and this year the latter was dire. So next year we have moved the week to September and, hopefully, this will result in yet another classic week. 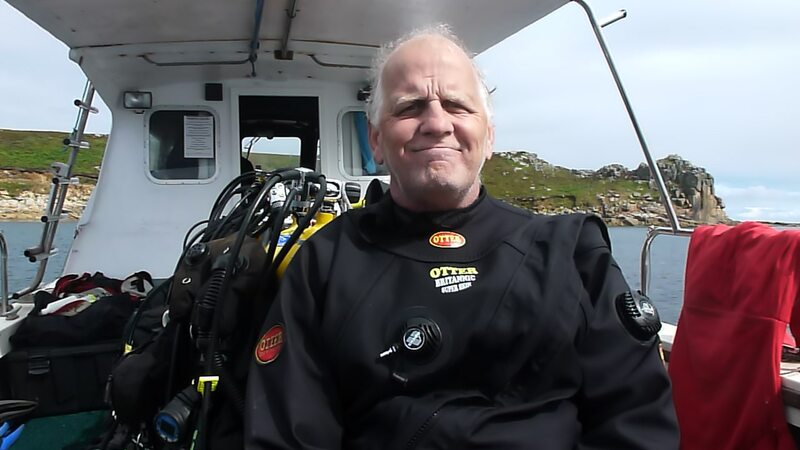 This year we decided to dive on the above wreck and, surprisingly I had never dived this wreck before. In the “Bunker” at Weymouth there is a photo of this very unusual submarine and more information can be accessed from the internet (just search for” M2 Submarine”). The M2 was a sister submarine to the M1 and they were both built after WW1 and were the “nuclear deterrent” of their day in as much as they had a huge gun mounted on the deck and this could be used to sneak up on enemy vessels and blast them out of the water-or so the theory went. The M1 was lost in very suspicious circumstances and the M2 then had its gun removed and this was replaced by a seaplane that took off from the deck of the sub! The seaplane was housed in a large hanger situated fore (in front of) of the conning tower. Unfortunately, on the 26th January 1932 the submarine was lost with all hands on board (60 people) caused by, they think, the submarine submerging without ensuring the hanger doors were shut. 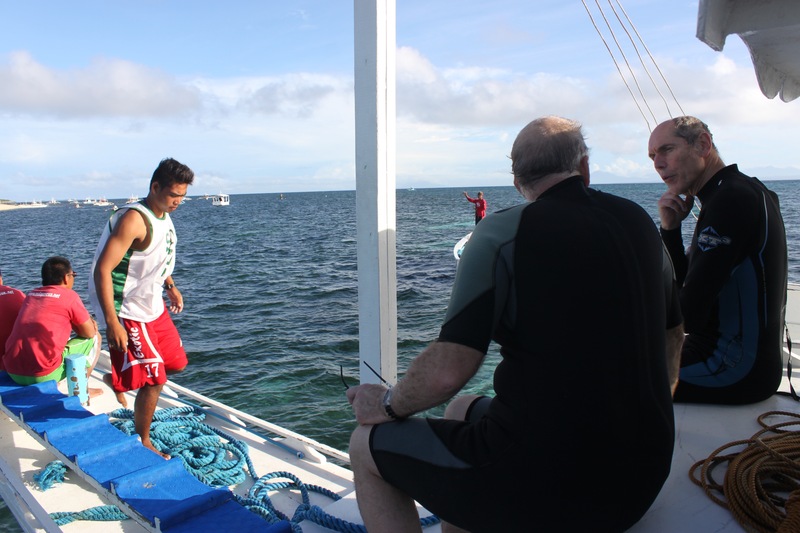 Prior to the dive we were given the usual very thorough briefing and the, now mandatory risk assessment. The sub was on the bottom (where else?) at 35m with the deck at 30m, the top of the conning tower at 25m and the periscope at 20m, so nothing too daunting. The sea was reasonable (or very rough if you talk to Caroline) but there was a sea fog which was a pity. 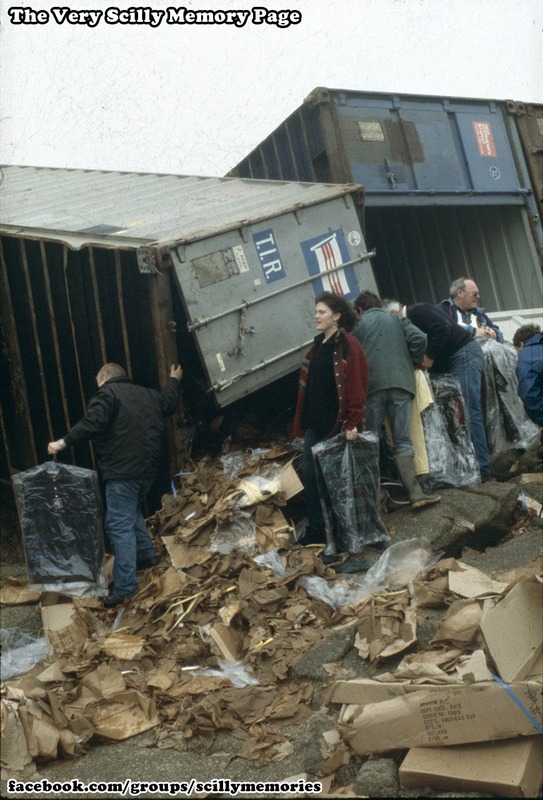 The sub is a War Grave and we must treat the wreck with respect. Disappointed, we turned around and made our way back to the conning tower. Of course, by now all 10 divers had descended and kicked up some silt and without realising what we were doing found ourselves inside the hanger in zero and I mean ZERO viz. I grabbed Ben (as I could not SEE him) and indicated that this was not the place to be and that we should vacate immediately. As soon as we exited the hanger the viz improved. We then explored the rest of the sub, found the shot line, and ascended making sure we did the necessary stops on the way. 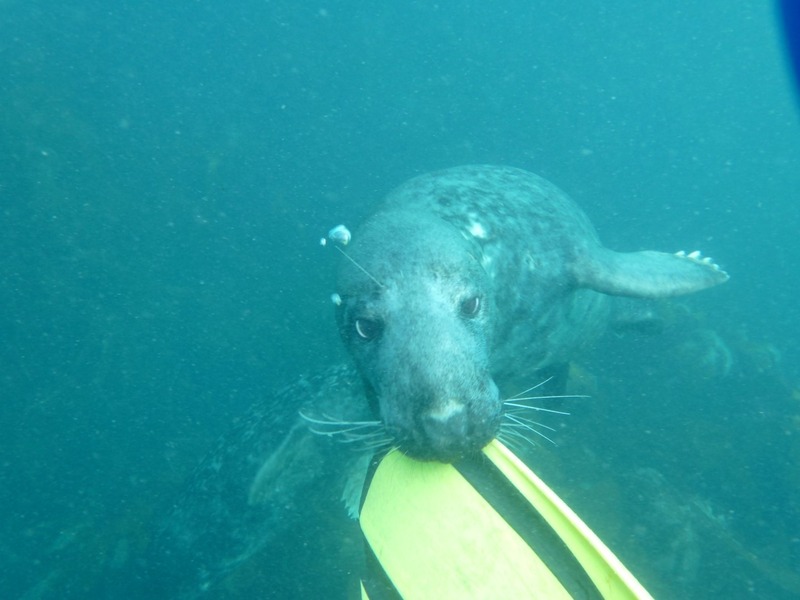 This was an excellent dive that I would recommend and will definitely dive the M2 again. After spending a year planning the Nekton hot trip to the Red Sea, we were within a couple of weeks of departing when everything was cancelled. 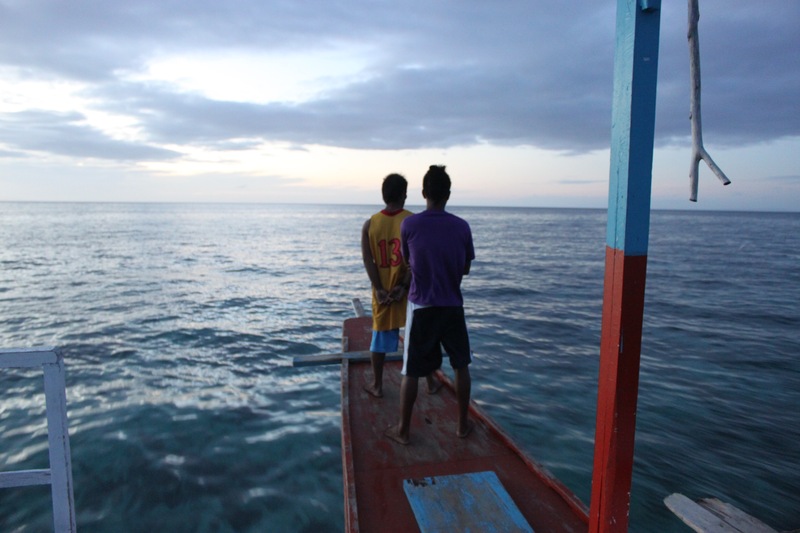 Not deterred Barry, Bob, Ron and Jeremy took their Red Sea money and set off for the Philippines. 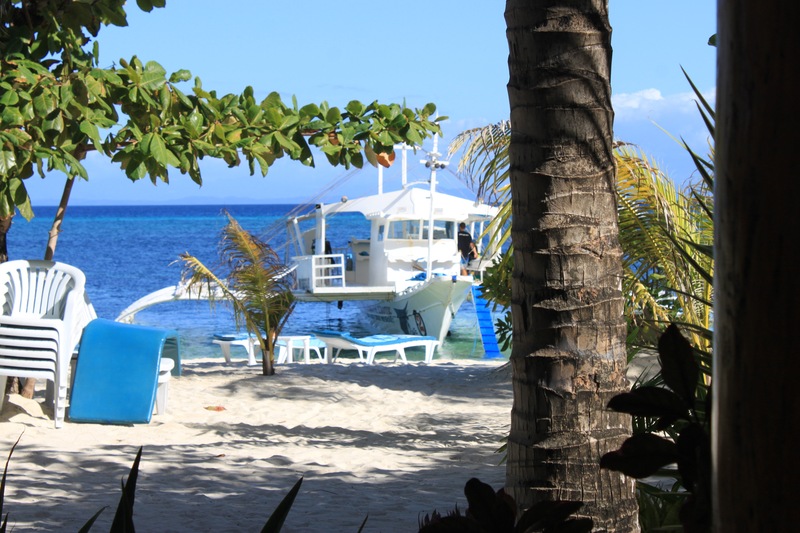 We chose a resort on the small island of Malapascua situated about a mile off the northern tip of the larger island of Cebu. Our flight to Hong Kong took 12 hours and we flew over Moscow, central Asia and China. We departed early evening, flying through the night with dawn breaking over the mountains somewhere in the expanse of central Asia. 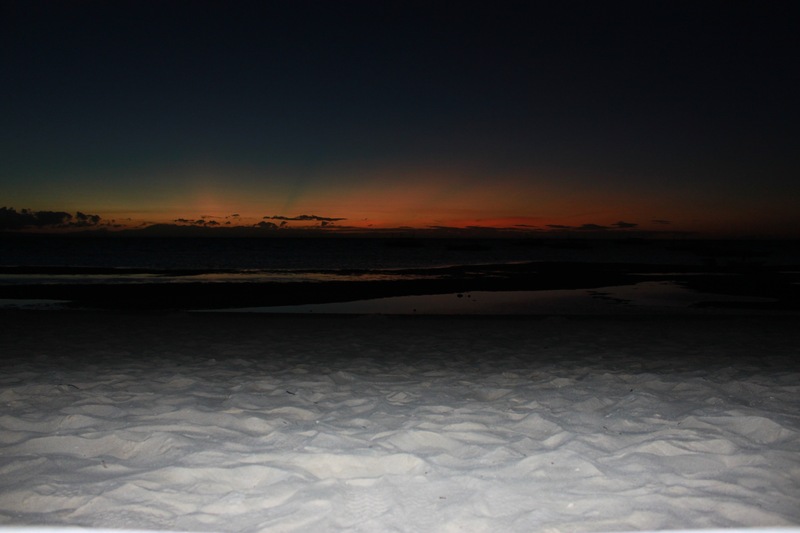 From Hong Kong we took a 2 hour flight to Cebu and by the time we arrived night had fallen again. 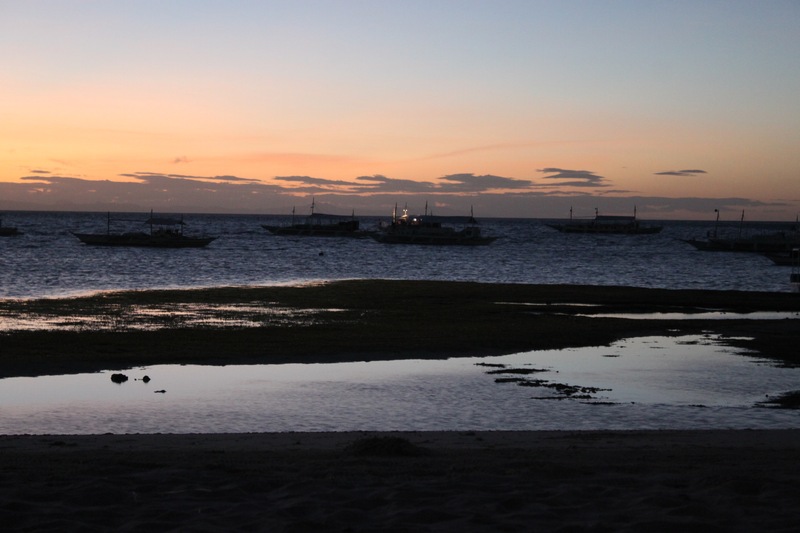 Next was an exciting 3 hour bus ride through the bustling Cebu traffic to a small port on the northern tip of the island where we transferred to a boat. 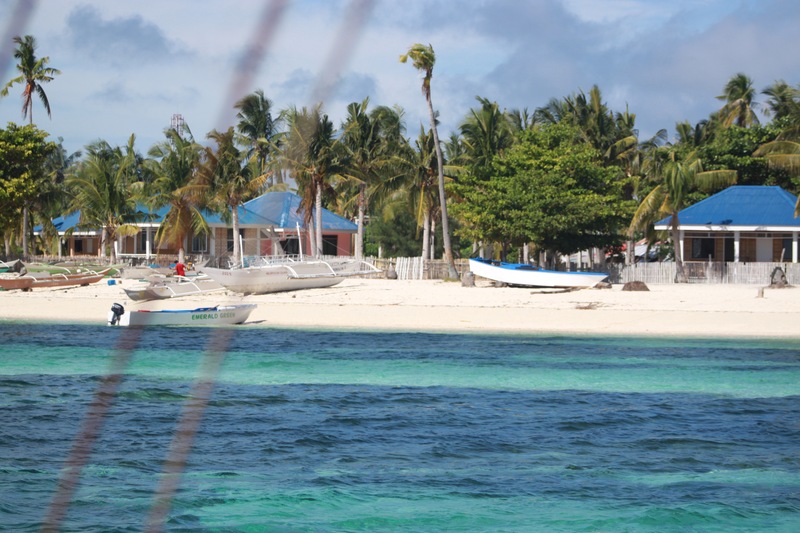 After sailing an hour through the dark we finally arrived at our resort on Malapascua, some 21 hours after leaving Heathrow. 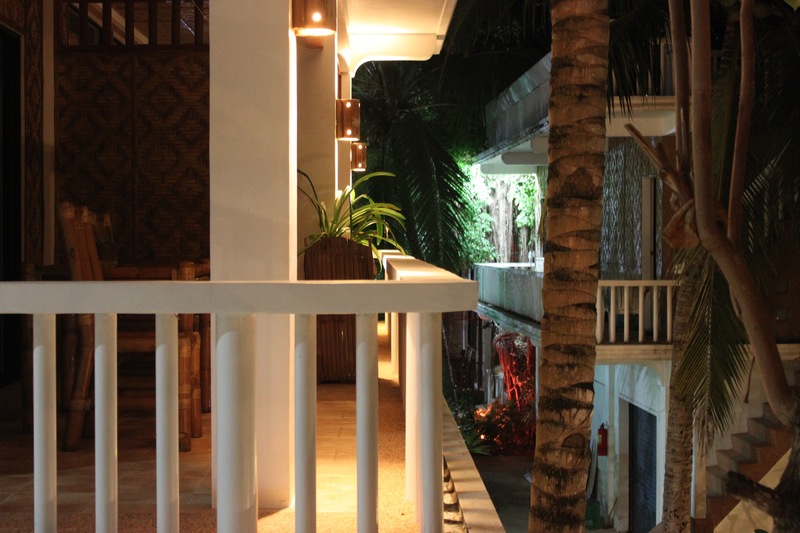 Our hotel was by the beach and set amongst palm trees, all you would expect from a tropical paradise. 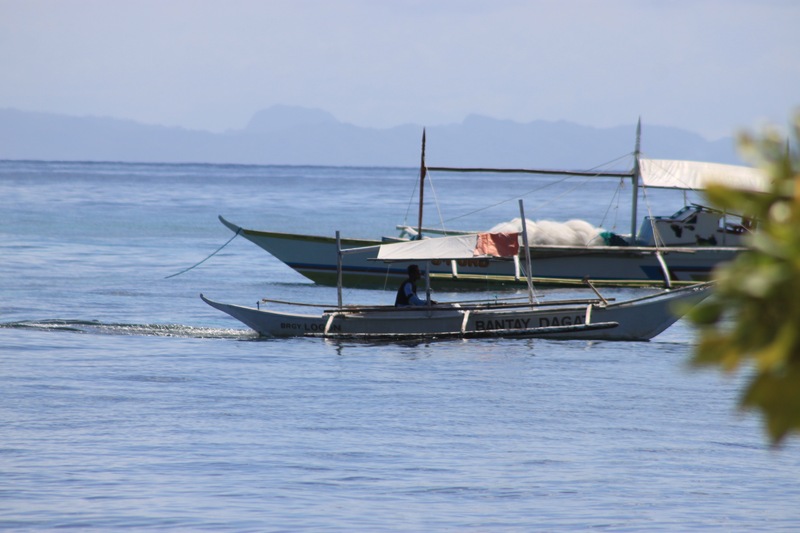 All diving was carried out from their standard trimaran boats, a deep central hull with a bamboo outrider each side. Entry to the sea was a long drop from the bows and we returned via rickety steps lowered through the deck assisted by the deckhands who reached down, grabbed the tops of our twin cylinders and hauled us up. Our days soon settled into a routine of finishing dives by 4 o’clock, shower and getting to the bar in time for 5 o’clock happy hour, which in the finest tradition lasted at least 2 hours. Our evenings consisted of deciding which particular Asian dish to have for supper and talking to the other guests, all of whom were divers and included Americans, Canadians, Europeans and Hongkongese. Compared to the Red Sea, the fish were smaller and the water less clear but our guide was fascinated in the smaller sea creatures. He particularly loved seahorses, which come in various sizes. The largest are easy to see but pigmy seahorses are so small you can only see them with a magnifying glass. On one dive he tapped a fern and what looked like a tiny leaflet broke away and suddenly started to wriggle, too small to see anything other than it was alive. 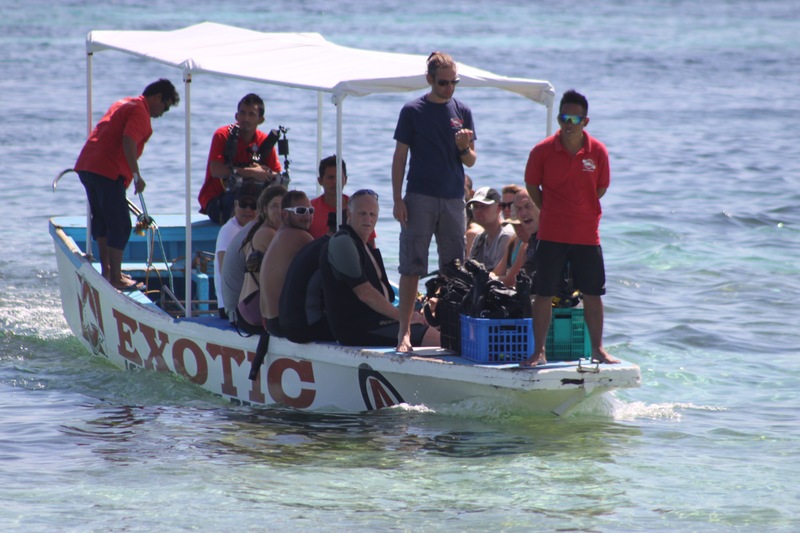 We also saw clown fish, moray eels, scorpion fish, frog fish, puffer fish, sea snakes, cuttle fish, nudibranchs, starfish, sea urchins, shoals of jack fish and herring, and one turtle. The high point of our trip was watching the thresher sharks. 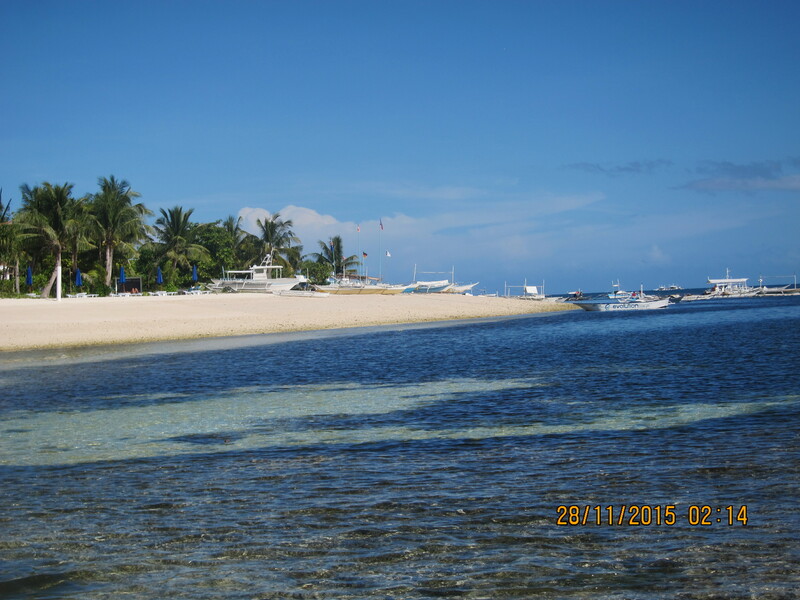 There is a very deep trench close to Malapascua called Mondal Shoal where sharks come to a cleaning station. To see them you need to be early and we were on board sailing for the trench by 5 am. 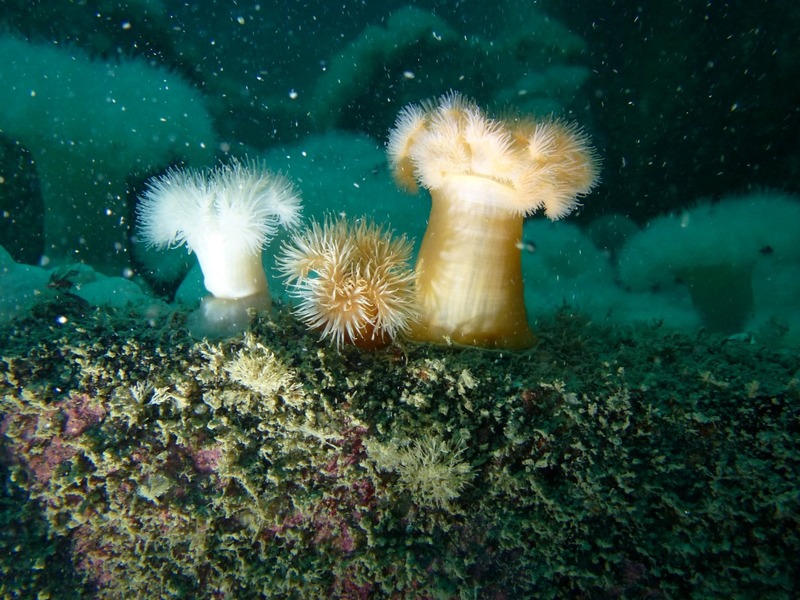 The first time we dived we saw them in the distance but despite us willing them closer and hardly daring to breathe they kept away. The following day we tried again and this time were rewarded with sharks swimming very close to us and one actually over our heads. They are simply awesome, with their huge tails and large expressionless eyes. After they had swam away even our guide was so excited that he punched the air and did ‘high fives’ with each of us. Just the most amazing dive. 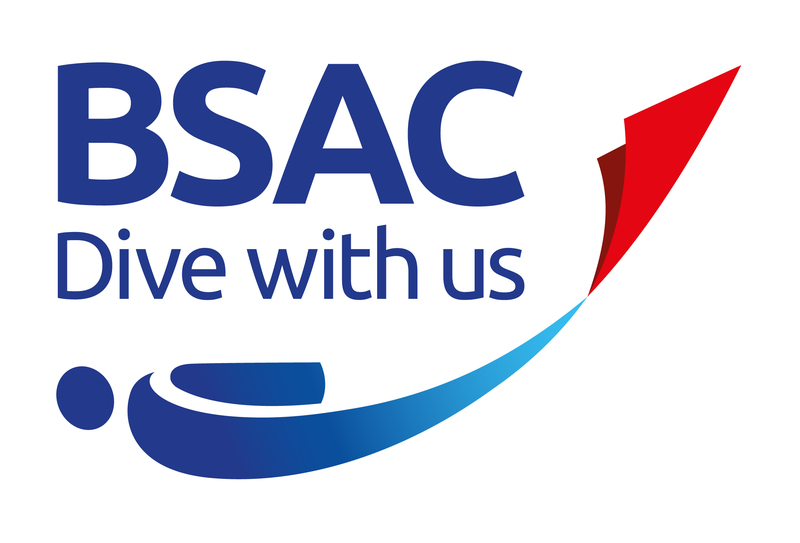 See our videos on the website. 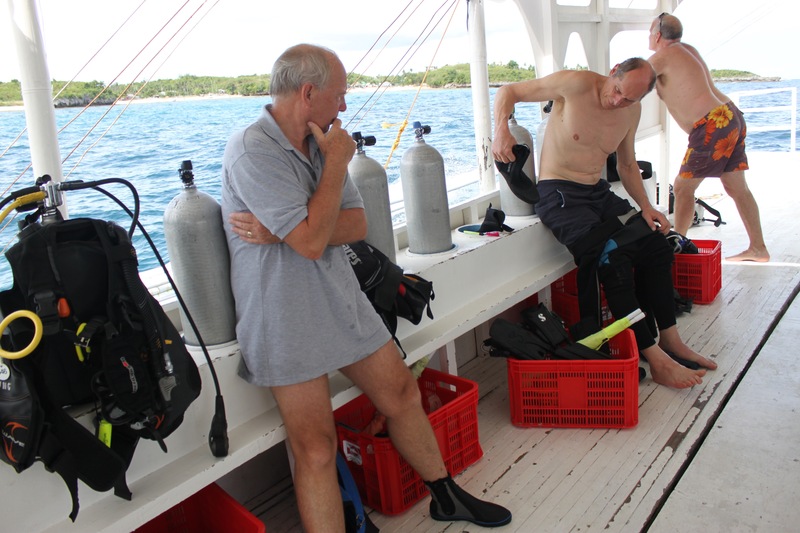 A couple of days we dived a site called Cato Island. 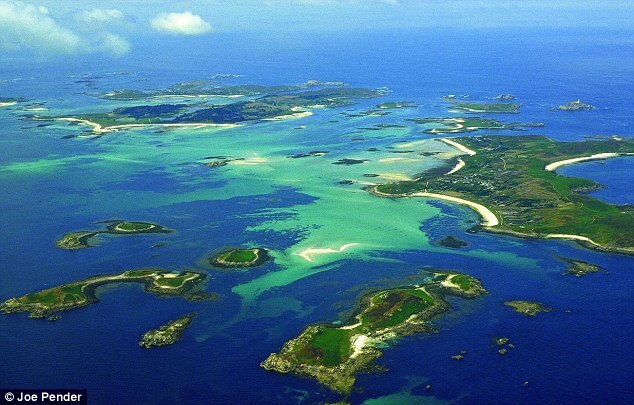 The island is little more than a rock rising perpendicularly out of the sea. Underwater the rocks are covered in varieties of soft and hard coral of every texture, colour and shape, also there are tunnels that lead off under the island. 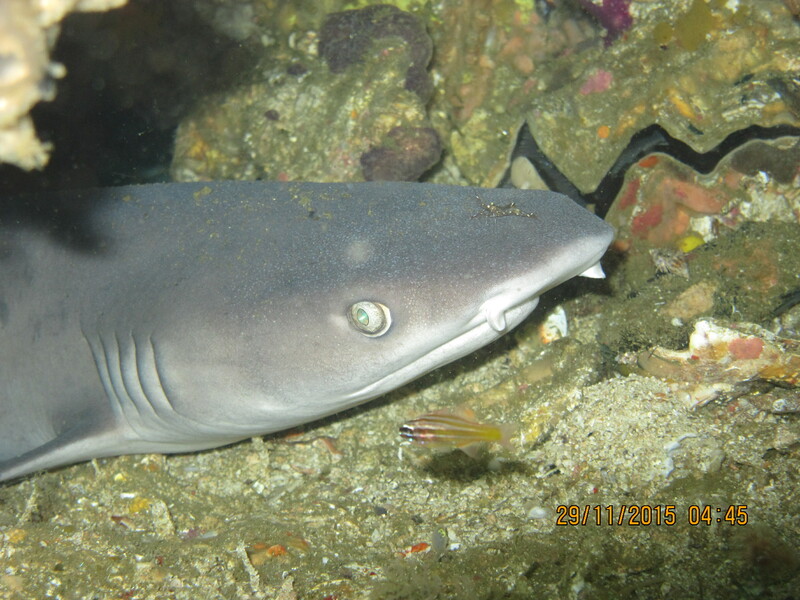 We saw nursing sharks lying under boulders and, in the tunnel, a white tipped reef shark. The reef shark must have got used to us divers as when we arrived it grumpily swam off trying to hide in the furthest recesses of the tunnel and away from the pursuing divers with their cameras and bright torches. On one of our dives the current was so strong we had to do a negative entry. Squeeze all the air out of your stab jacket, make absolutely sure your air is on, all jump together, hit the water and keep going down. 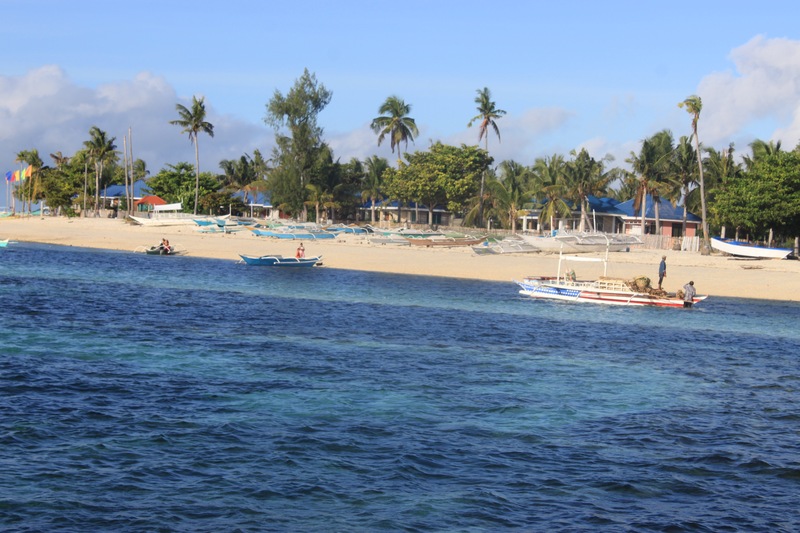 One day we spent diving round Calanggaman Island. 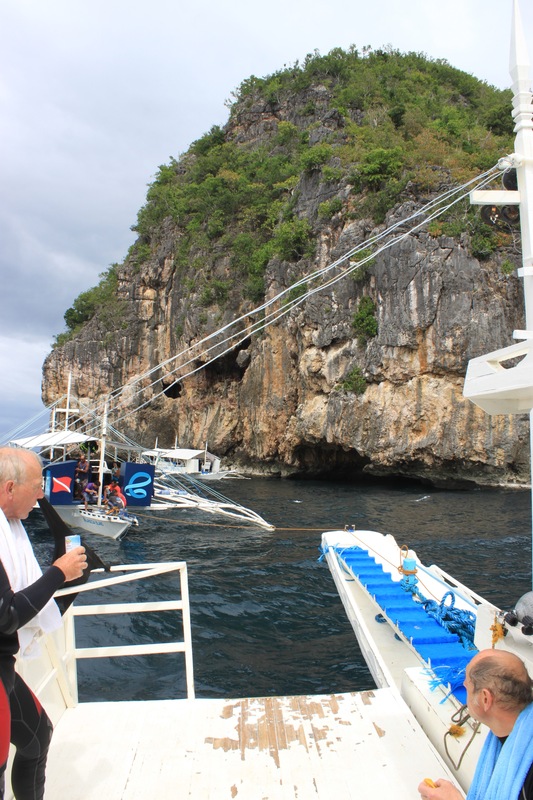 On our first dive we watched puffer fish and sea snakes. 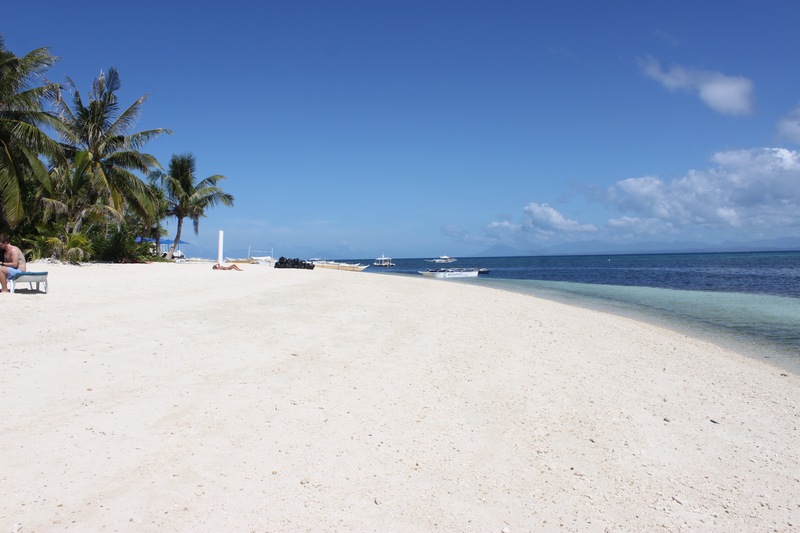 We then went ashore on the island for lunch landing on a thin spit of sand stretching between an azure sea and sky. Over lunch we watched as a black wall of cloud approached over the water, complete with angry flashes of lightening. Sure enough before we had finished the tropical storm broke over us and we were lashed by rain. 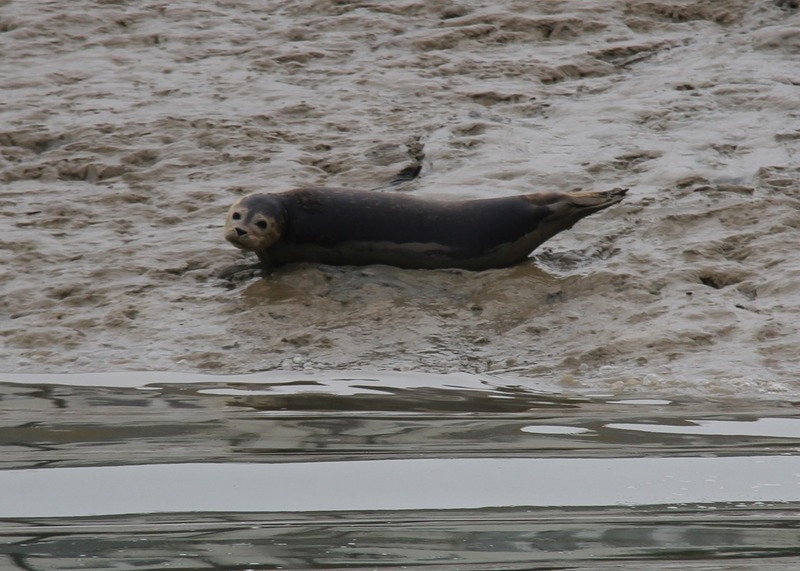 Barry decided to swim back to the boat as it would be warmer and he certainly wasn’t going to get any wetter. 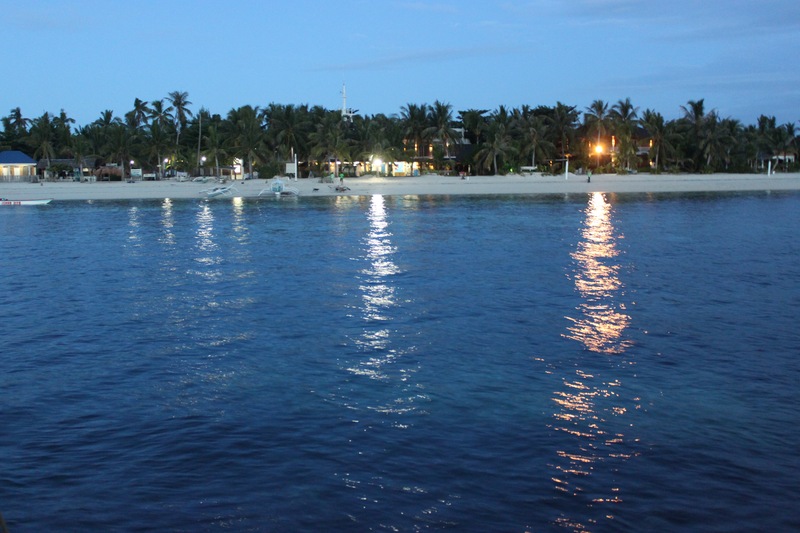 On our second dive next to the island we were surrounded by shoals of jack fish. During our return trip we drove through the Cebu countryside in daylight. The hills and valleys are lush green and fringed with palms and banana trees. The traffic in Cebu city is horrendous. One oddity is that all the road signs are in English, even the ‘slow school’ signs seen in every village and diversion signs seen everywhere. Barry and I decided to break our journey and stay a night in Hong Kong. However thanks to the super efficient airport trains we all had time to visit Hong Kong Island for beer and an evening meal. After Malapascua Island, where the tallest structure is the microwave dish that needs to clear the palm trees, Hong Kong was a culture shock. Looking out of the train window on the journey into town you know you are entering a metropolis. After our break in Hong Kong we settled down to our 12 hour non-stop return flight to Heathrow, made possible by Cathay Pacific using Boeing 777-300ER airliners. 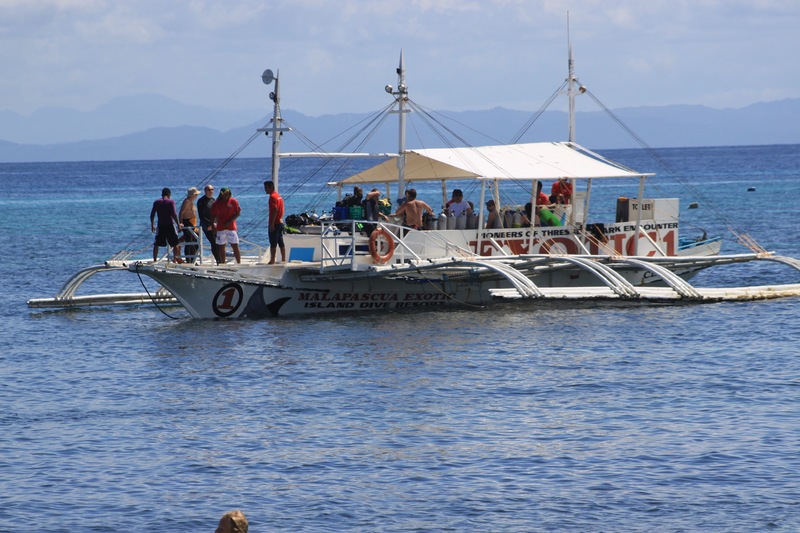 Our trip to the Philippines was more a holiday with diving than a dive holiday. 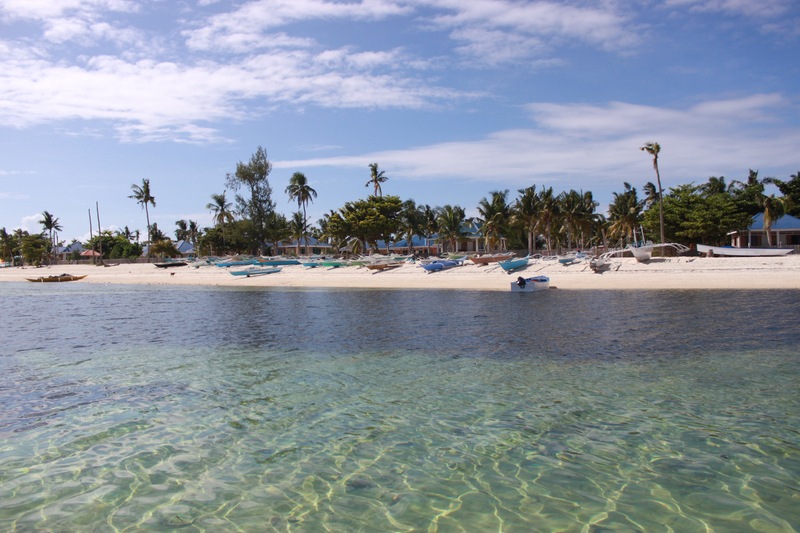 Our little island was idyllic, fringed with a sandy beach and palm trees, the only means of transport was by boat or walk. 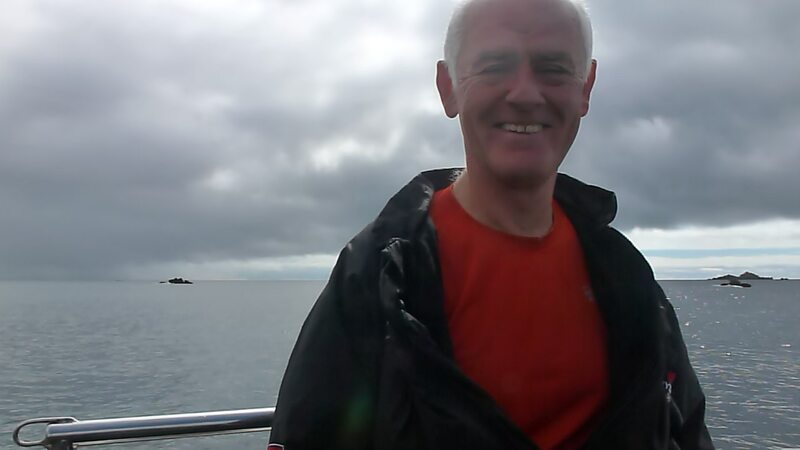 The water was about 28 degrees C and while we were there never experienced more than a slight swell. A fun place to dive. One trick we have brought back, though it will take some practice. Catch the bubbles you breathe out in a cupped hand and push them down in front of you, they will break up into small bubbles and for a moment just hang in the water. Clench your fists, put your knuckles together and the backs of hands to your chest. Now punch the centre of the bubbles and you will create a large ‘smoke ring’ of bubbles – impressive. As demonstrated by Nick below. 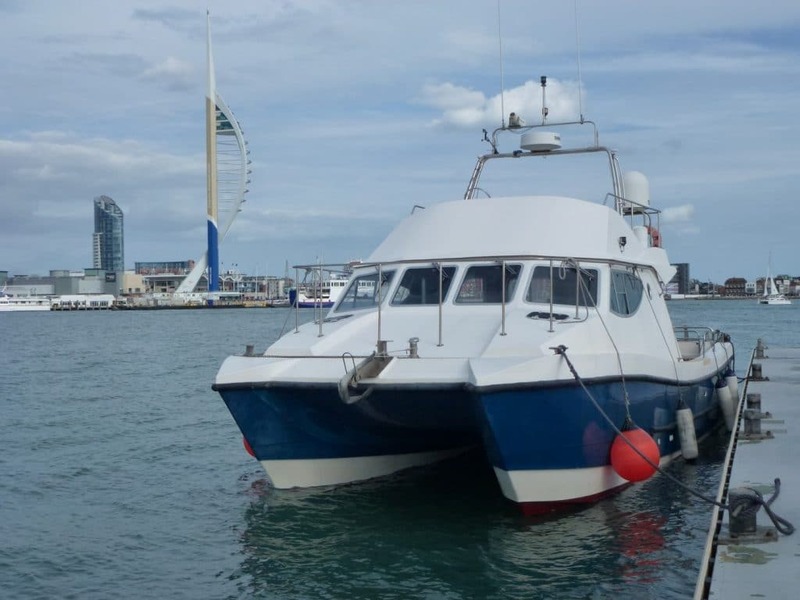 Our plan was to join Mick’s boat, MV Sussex, at Eastbourne on Thursday the 20th August, sail to Gosport doing 2 dives en route, spend 2 days at Gosport diving to the east of the Isle of Wight and return to Eastbourne on the Sunday again diving 2 wrecks. 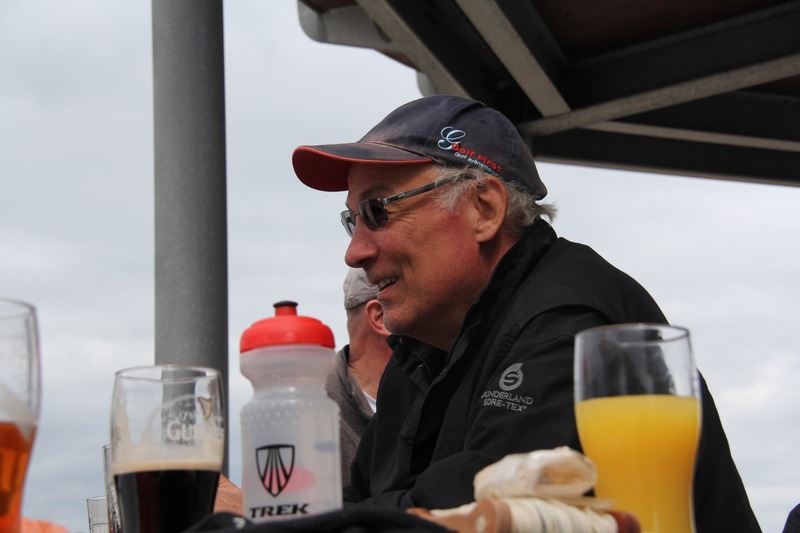 As Mick wanted a 5 o’clock am start on the Thursday we all drove down on the Wednesday, parked in the underground car park, negotiated a labyrinthine series of security doors and loaded our equipment onto the boat. 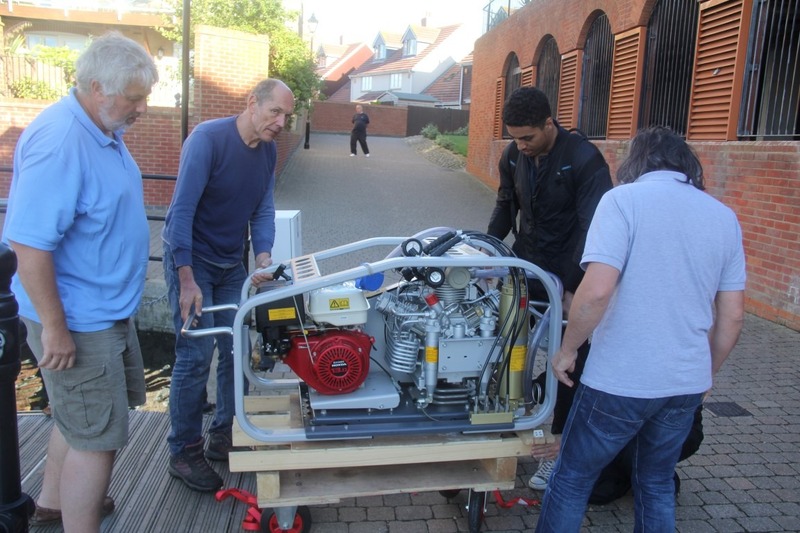 Most of us were onboard MV Sussex at 5 am to load the portable compressor onto the bench at the back of the boat. 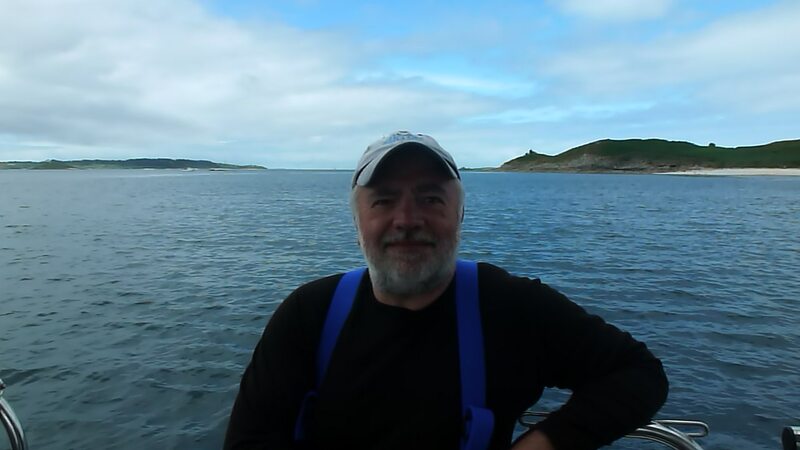 This achieved a call to the washrooms and were out of the harbour by 6:40 am to an overcast sea running a slight swell. 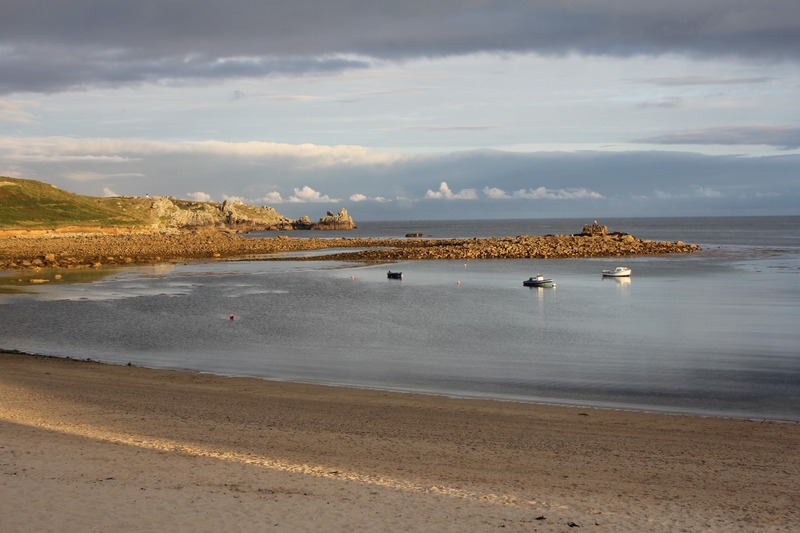 The tide was running with us and with the low water slack of 9:15 we reached the SS Stanwold for the first dive. The SS Stanwold was built in 1909 and was lost with all hands on the 22nd February 1941. She lies at 36 meters, 9 meters proud and lying on her port side nearly upside down. We were all out of the water by 10:08 am and continued sailing westwards, mindful that the high water slack would be at 2 o’clock pm. The tide was now running against us and by 2 o’clock pm we had reached an unknown wreck at 28 meters which we decided to dive. After some research we agreed that the wreck was the Gascony sunk by a torpedo on the 7th January 1918. I had booked the Premier Inn at Gosport but it was situated some way from the centre and away from any restaurants or recommended pubs. 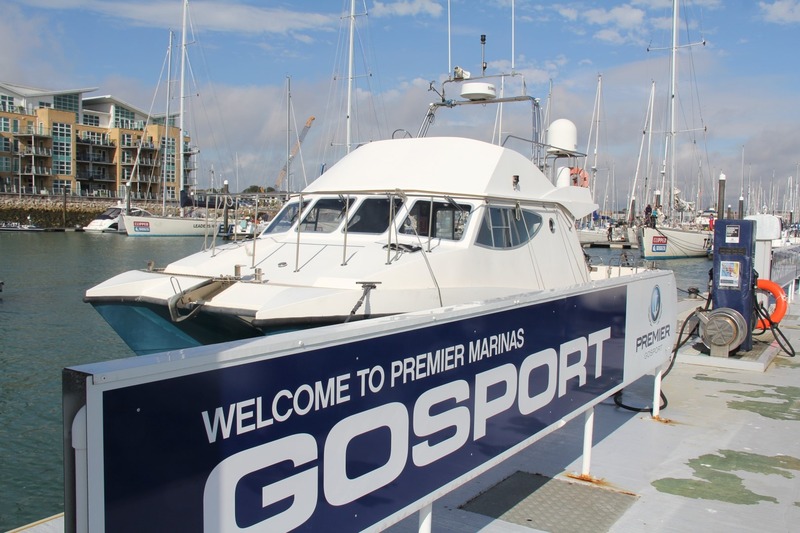 The marina is situated in the heart of Gosport next to pubs and restaurants and with all necessary facilities. Much easier to shower, change and find the nearest pub. 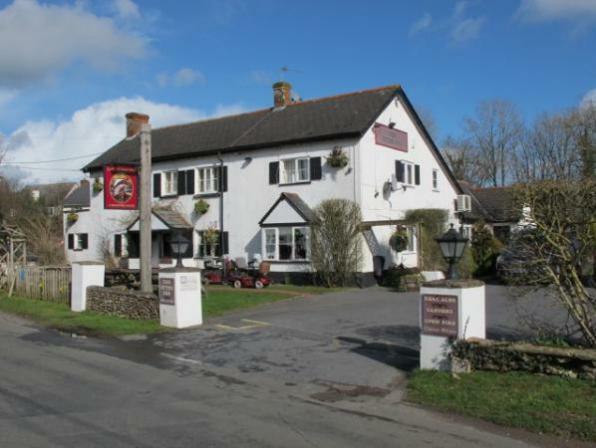 The Castle Tavern, a good minute from the marina, serves an excellent pint of Doombar and Harveys and good pub grub. There was no need to go any further. The taxi rank was next to the pub and my research on busses and times was ignored in favour of a cab and another booked for the morning. 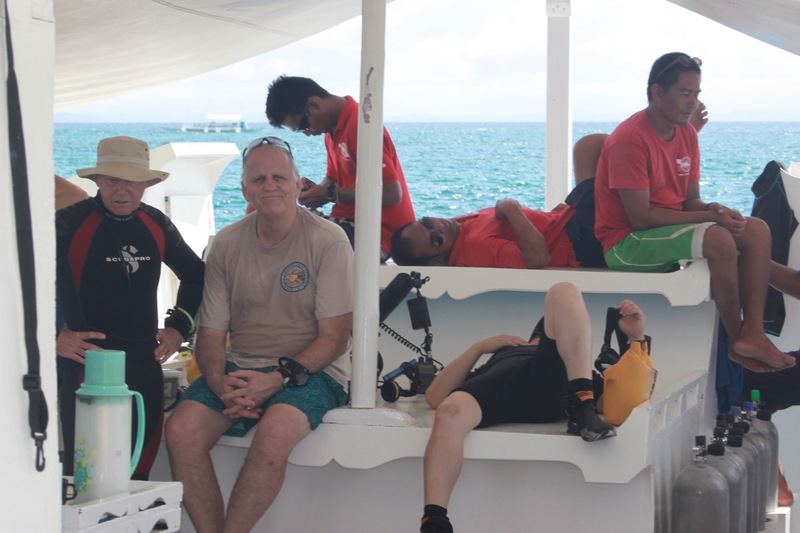 We had a problem with fuel as the boat didn’t have sufficient for our planned dives. At Eastbourne marina the fuel pumps are open 24×7. However in Gosport they are open from 9 to 5, unless you book. This meant no departure at 7 am and a dive on low water slack. We decided to dive the Luis as it is tucked in close to land and can be dived up to 3 hours before high water. The other wrecks close by need to be dived later, an hour before high water. It was an idea but as the Luis is shallow and a good rummage, by the time we had all surfaced and the cylinders pumped we had missed the slack. A dive off Bembridge met no interest and instead we lazed in the sun on the upper desk as Mick slowly returned to Gosport. Gosport marina is full of beautiful yachts, some are the thoroughbred of the yachting world, boats designed simply for speed and striped to their functional bare bones. Some of our party were positively drooling over them. A good pint and food awaited us at The Castle Tavern and we spent the evening sitting out in the sun drinking until supper. Elliott joined us to dive the weekend arriving on the last train from London and the last ferry from Portsmouth. 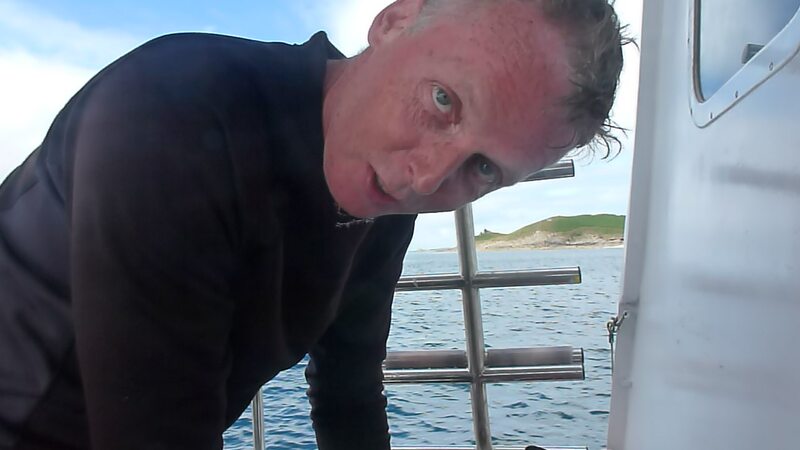 The skipper had heard of an unknown and little dived wreck much recommended by other divers. This seemed more interesting than the planned dive on the Wapello or Camberwell. The wreck is a long way from Gosport and we left the marina at 6:40 am. The dive was excellent and enjoyed by everyone. We managed to find plates, broken but with the makers name, a glass and floor tiles. 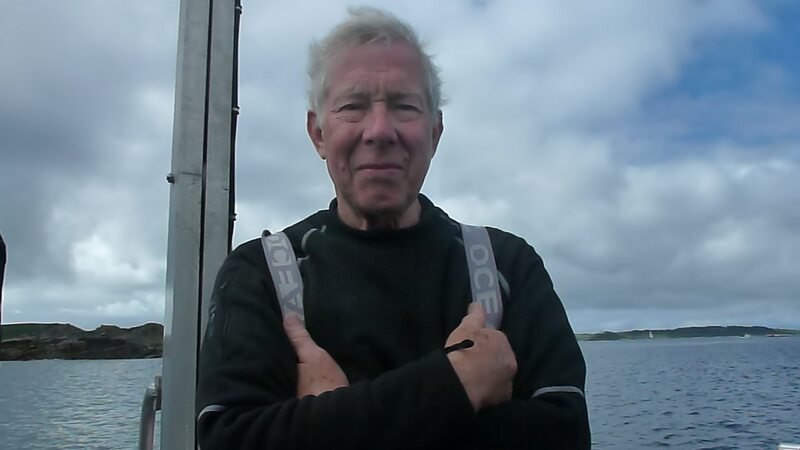 Elliott also found part of a sextant which possibly may have a number that could be traced and help name the wreck. 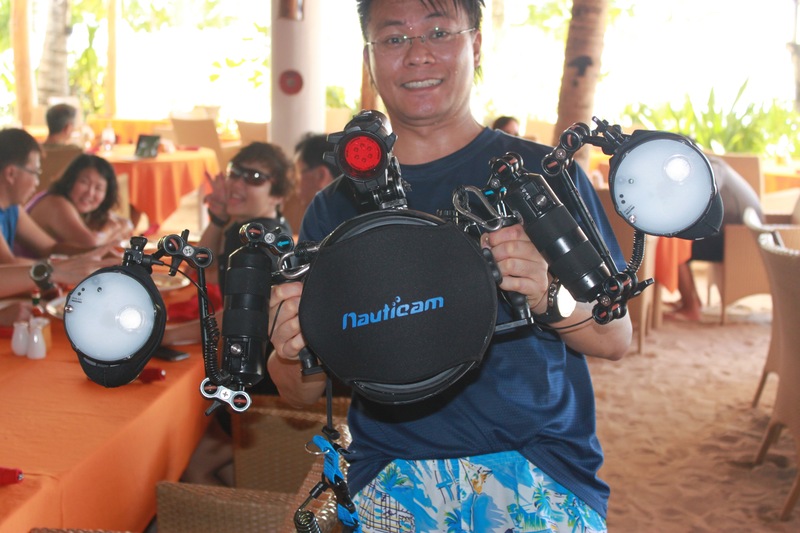 Guy duly made a list of items recovered and sent it to the Receivers of Wrecks. 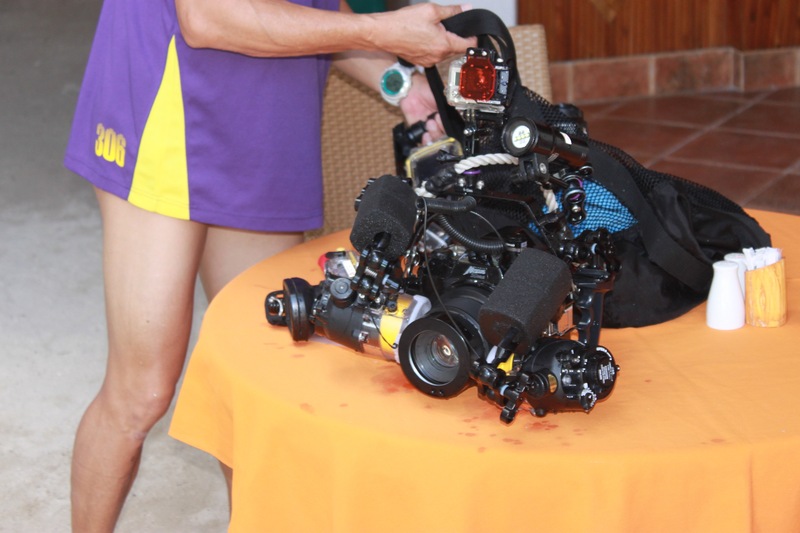 For the second dive some divers wanted to revisit the Luis while others wanted to dive the Camswain. Being our last night in Gosport we decided to eat at a recommended Chinese restaurant called The Great Wall. 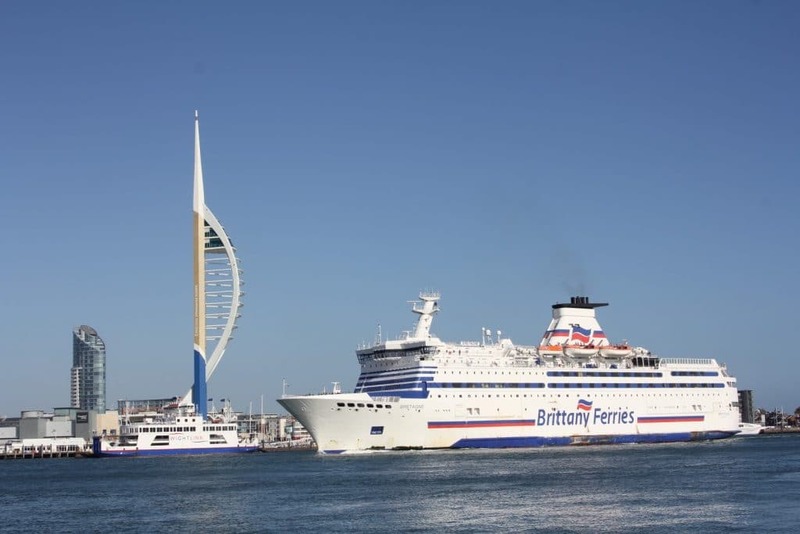 The restaurant faces the ferry and gives great views across the entrance to Portsmouth harbour, the Spinnaker Tower and the ships sailing in and out. The restaurant offers a buffet which allows you to eat any dish and a many as you like. All this and the others diners made a fun meal. We planned to dive the Basil on the way back and I gave the skipper the co-ordinates and a slack of 10:23. We reached the correct spot but the depth was wrong and although there was a wreck it was not the Basil. 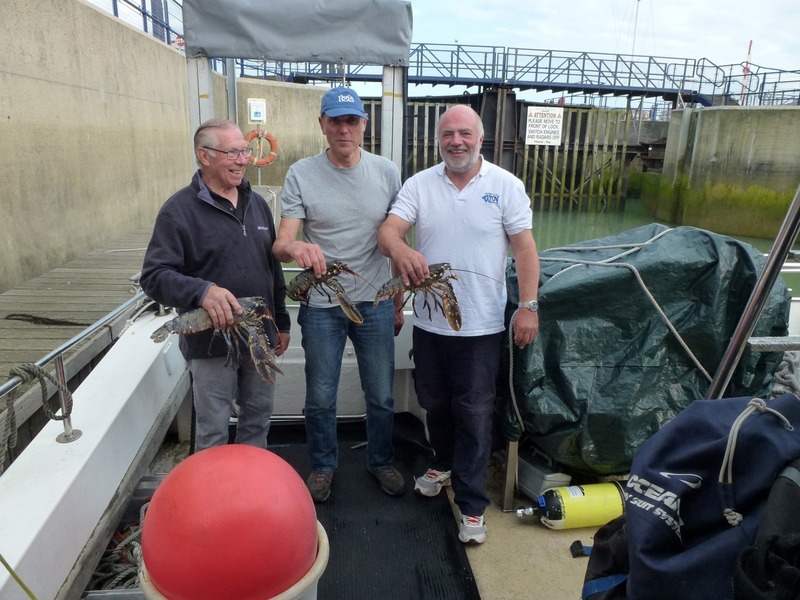 The co-ordinates for the Basil are given in Dive Sussex and checked out with www.wrecksite.eu. Both it turned out are wrong, very embarrassing. Mick tried to find the correct depth and the wreck but couldn’t. We needed to dive on the low water slack and so we dived what we had. 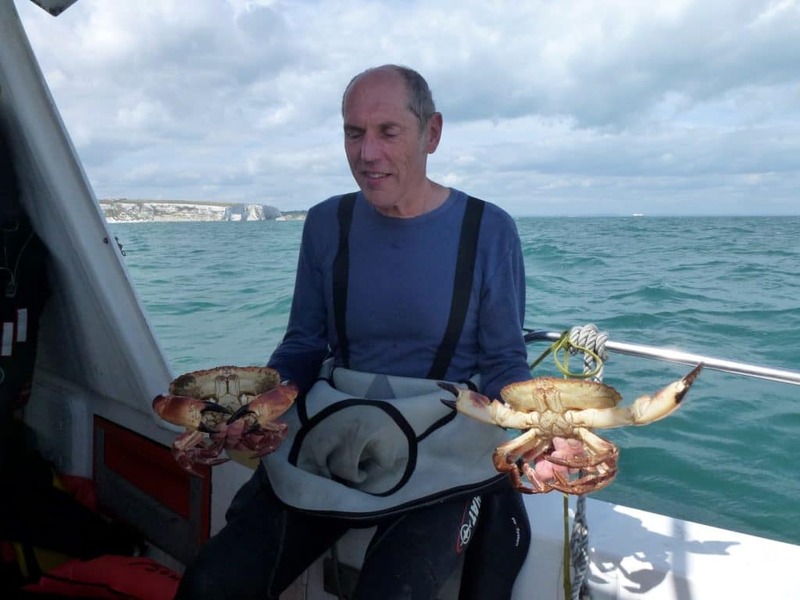 The wreck itself was very small and broken up but home to a large number of lobsters and crabs. The wreck was a disappointment but we all came up with food. Nobody wanted to wait for slack off Beachy Head as it would mean a late return to Eastbourne and only Elliott and I wanted to do a drift dive. A large storm was gathering in the Atlantic and we were catching the beginnings of it. With the swell it was thought any dive site close to shore would have very limited viz so we needed to stay deep. The Lalen Mendi looked an interesting wreck and was en route to Eastbourne. As the swell was too rough to use the compressor Elliott and I plundered Gi’s unused cylinders and kitted up. 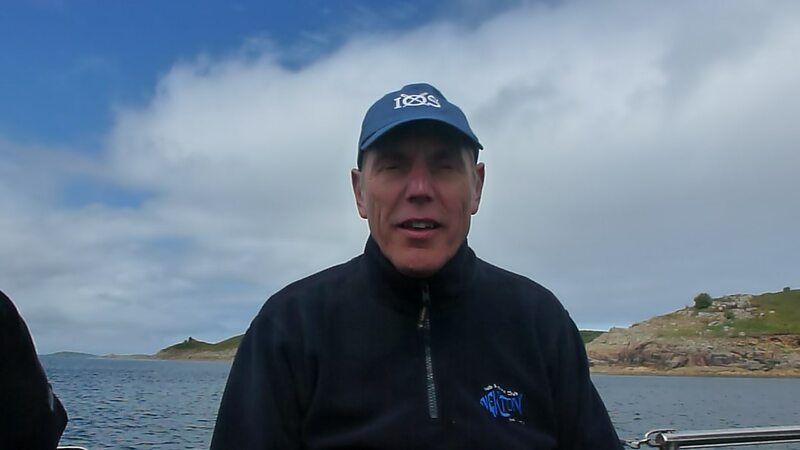 Mick dropped us off upstream of the wreck with the advice that if we didn’t find it within minutes we had missed it. We clipped a buddy line between us and made a rapid decent hitting the wreck within the few minutes. The tide was running swiftly and we hung on until we were able to tuck into the lee of the wreck. 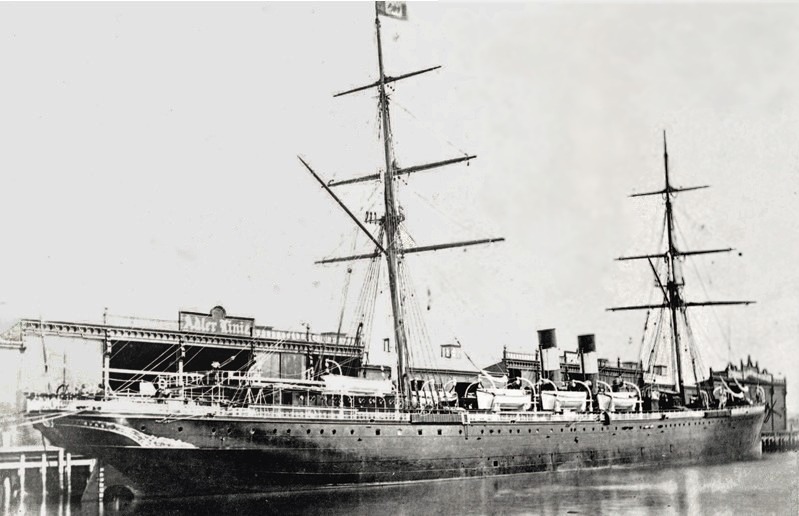 The Lalen Mendi was built in 1896 and torpedoed on its way to Bilbao on the 17th November 1917 with a cargo of coal. The wreck is broken up but much is still intact. On reaching the end of the wreck Elliott switched cylinders only to find that he had had a freeflow and it was empty. 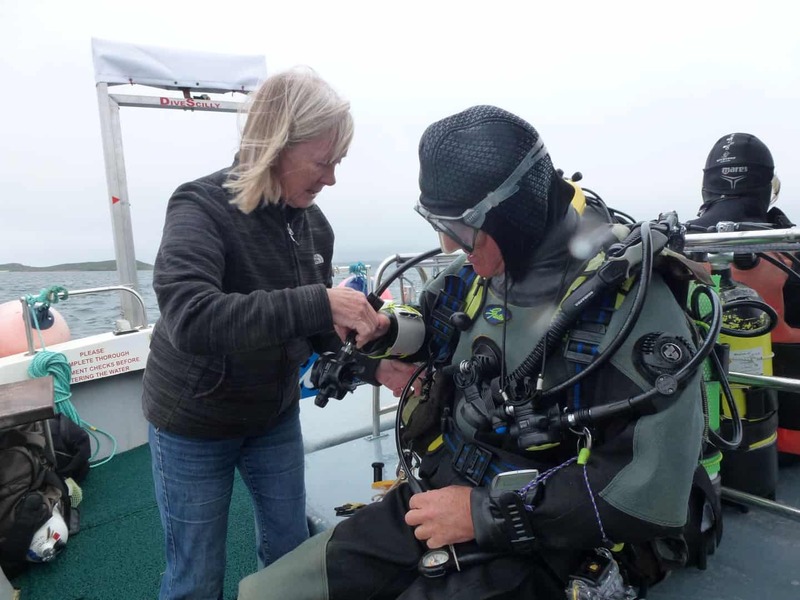 That was the end of the dive and after a deep stop at 15 meters and 10 minutes of deco at 5 meters we surfaced with sufficient but less than recommended pressures. A good use of a buddy line. The storm that had been threatening us over the weekend finally struck and showed how much luck plays in diving. 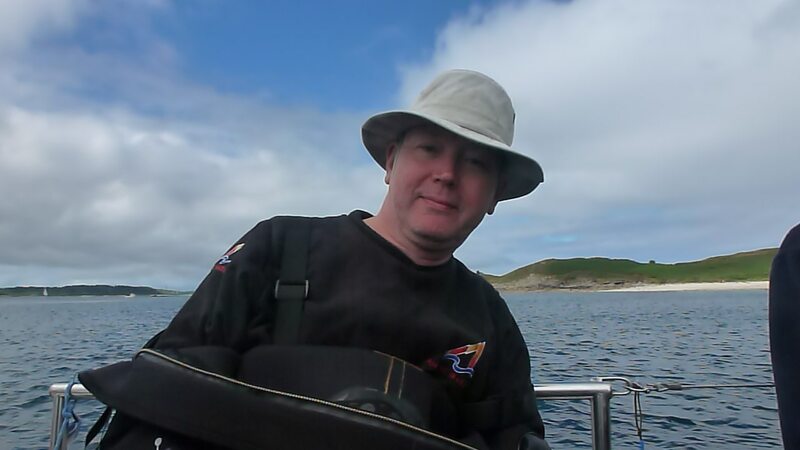 We had enjoyed sun and calm seas, the following week was blown out.